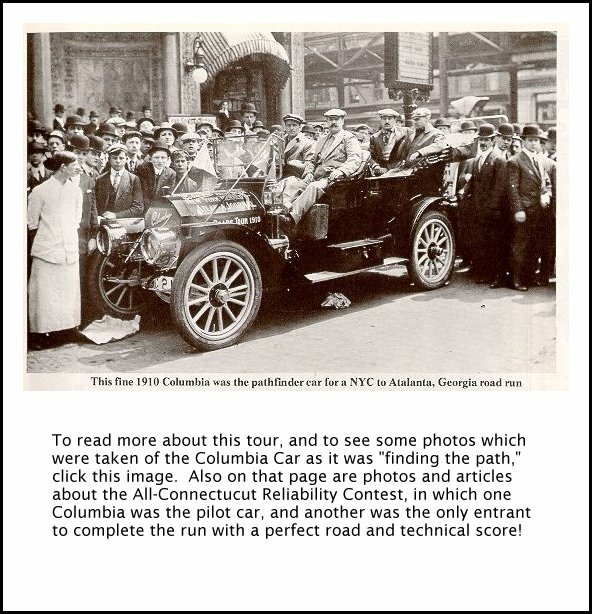 Other trips made by the Columbia Cars . . . . . .
various Columbia cars over the years . 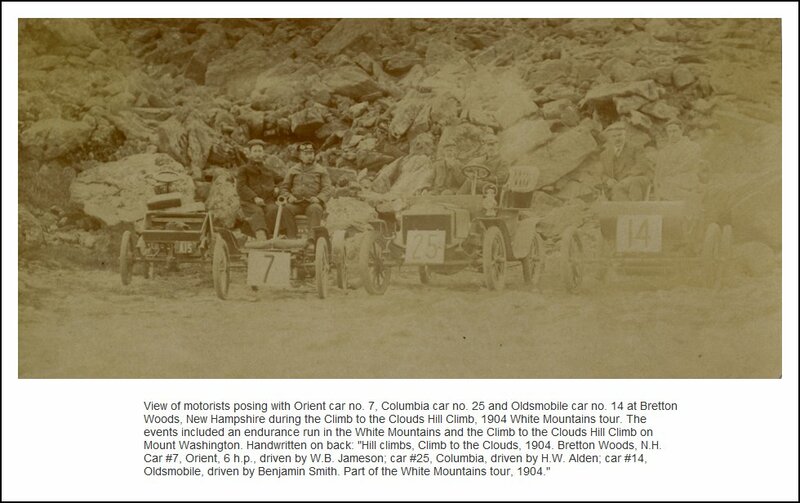 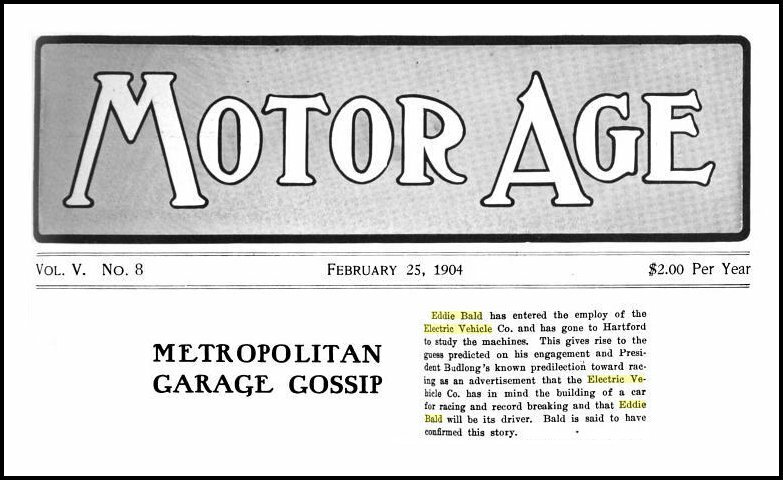 . .
"Great Moments in Early American Motoring." 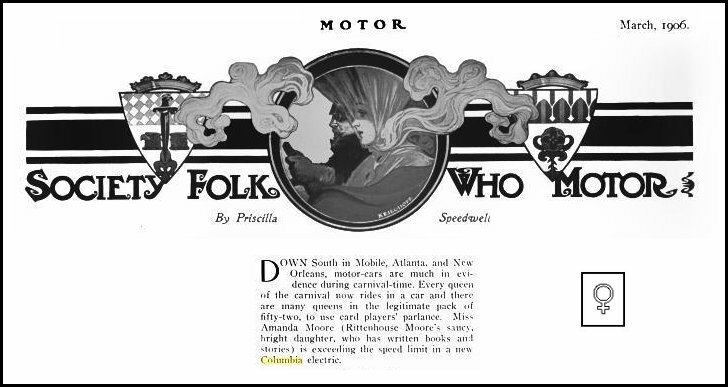 whereas in the drawing below, (her husband?) 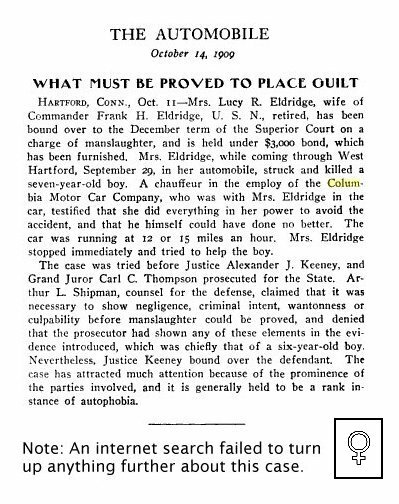 has assumed that task. 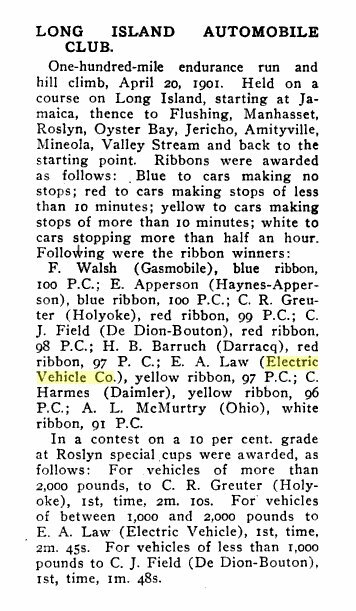 which would start to be rectified in the 1970s! 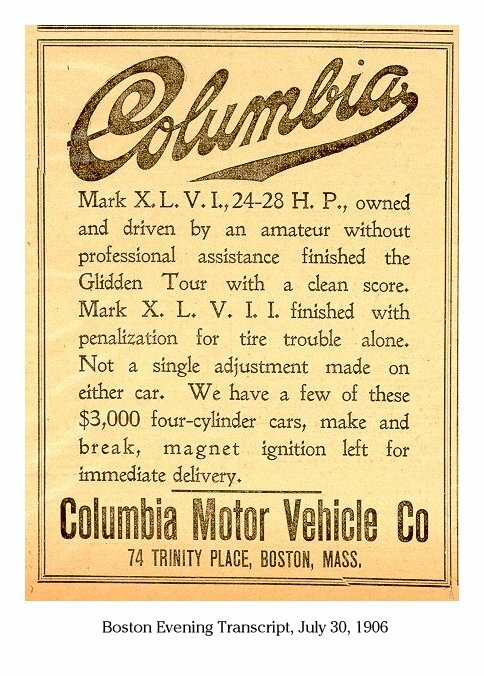 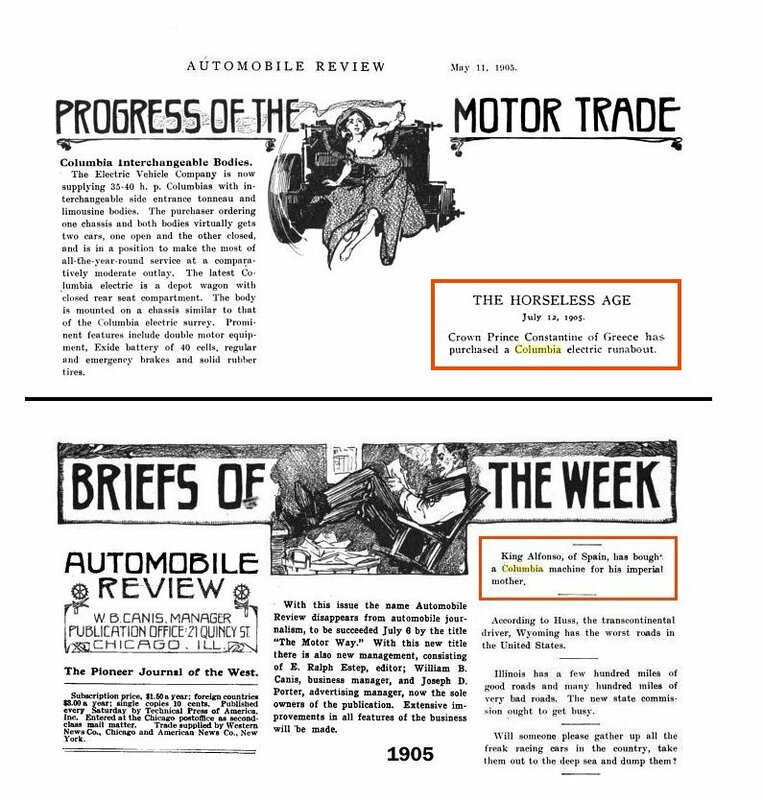 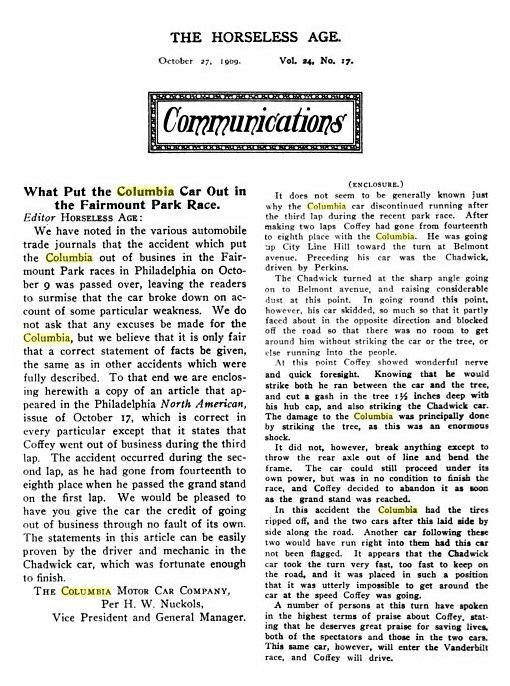 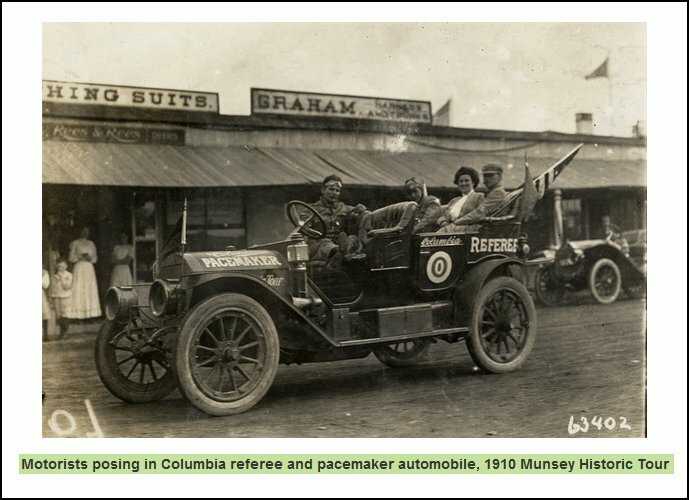 materials put out by the various Columbia Automobile Companies! 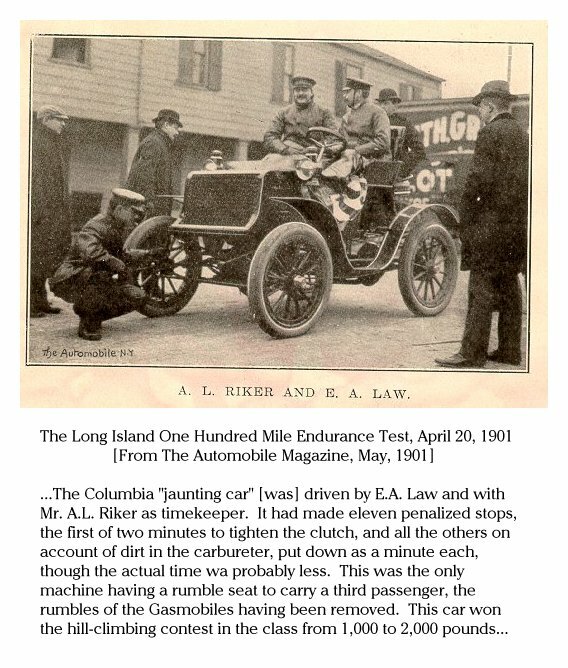 be driving it, but that cannot be ascertained from the photo. 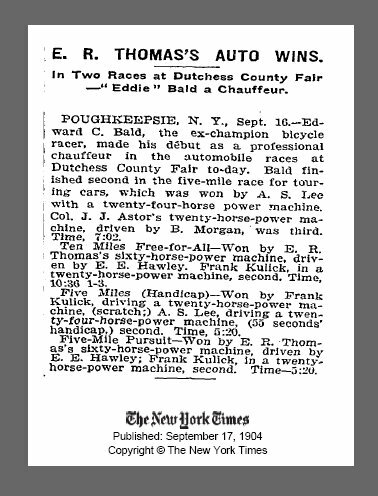 plus some items about his transition from cycling to auto racing. 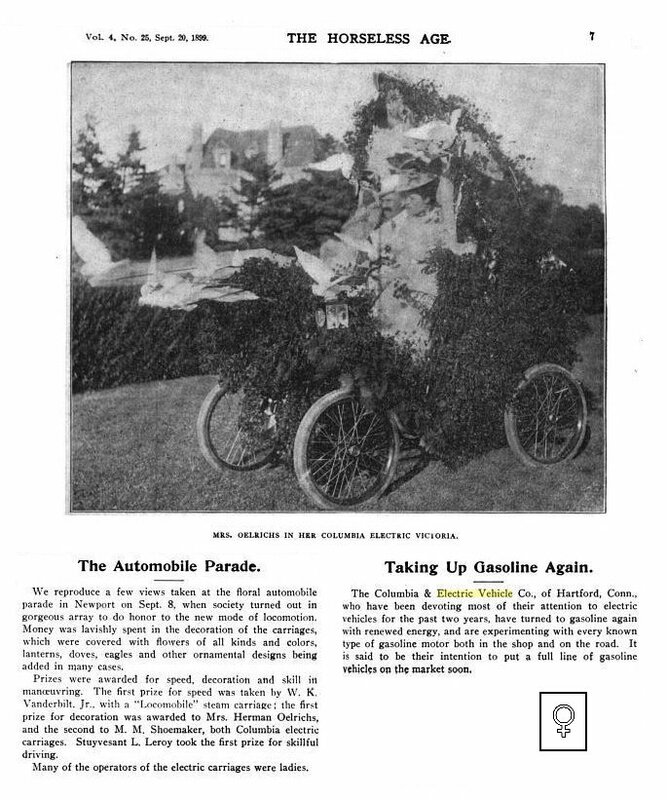 photos of him on his bicycle, click HERE. 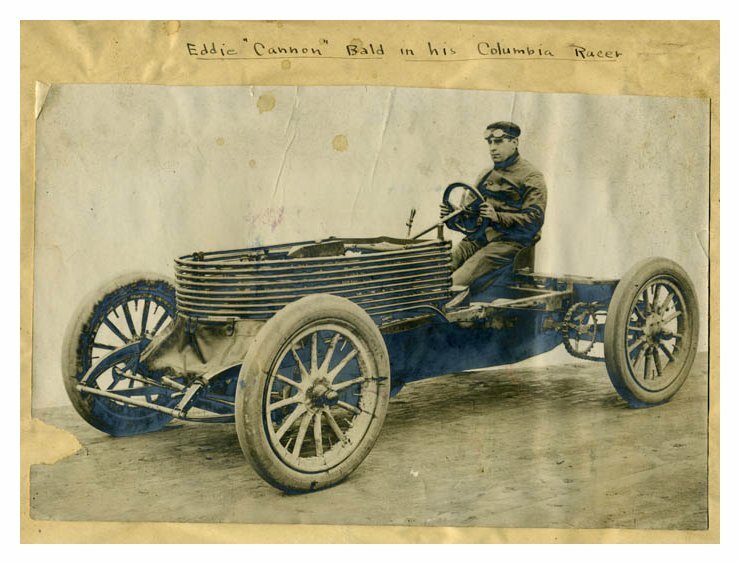 Eddie "Cannon" Bald is back to his first love, behind the wheel of a Columbia motor car again. 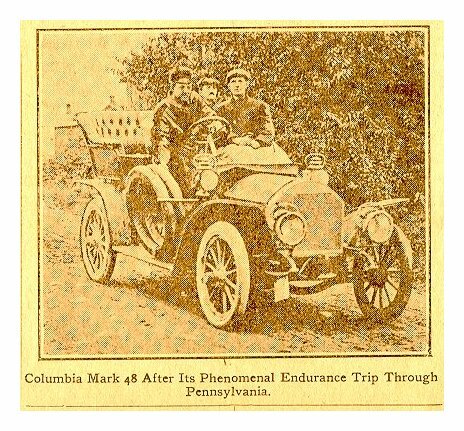 The Columbia was Eddie's first motor love, just as the Columbia bicycle was Eddie's mount in the days when he was the international cycling champion. 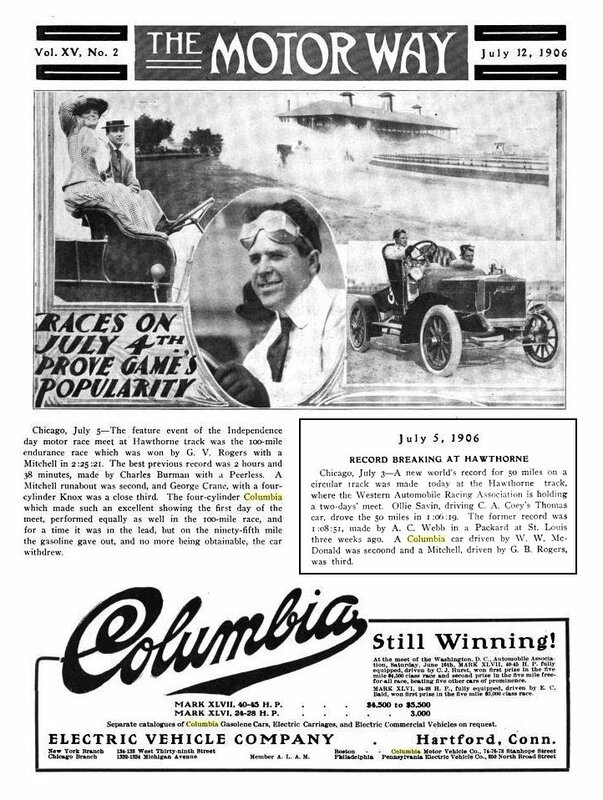 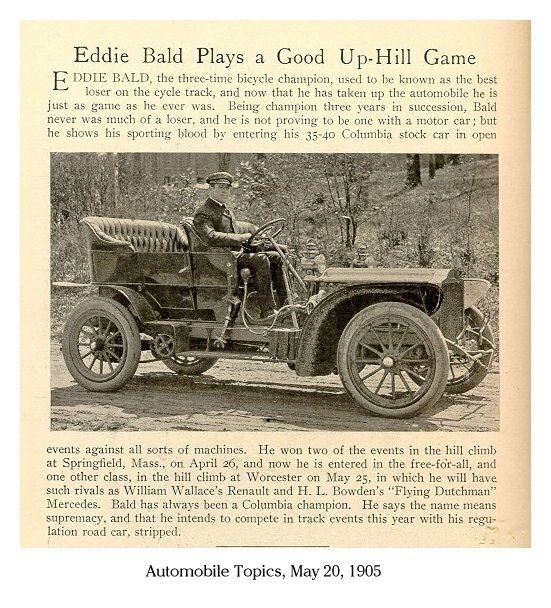 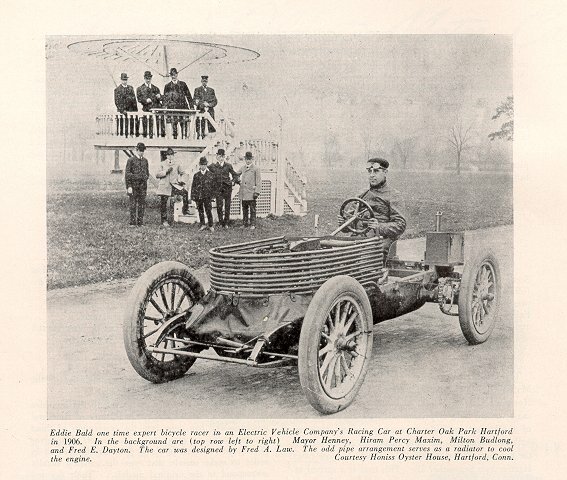 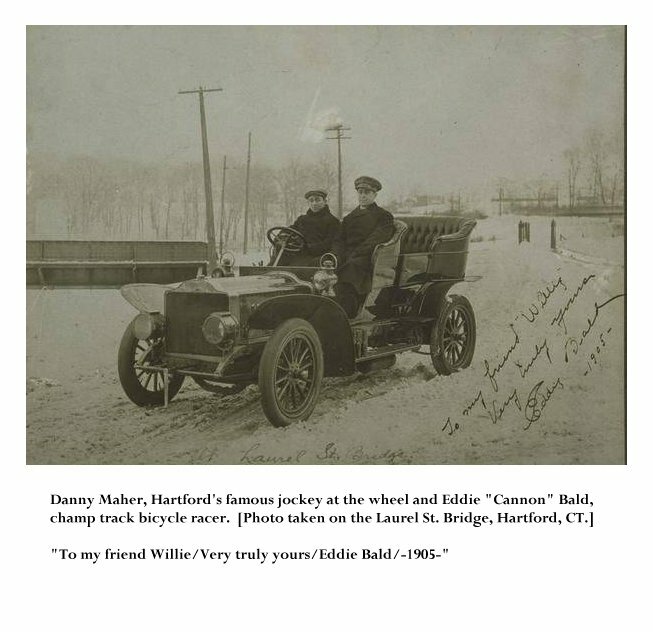 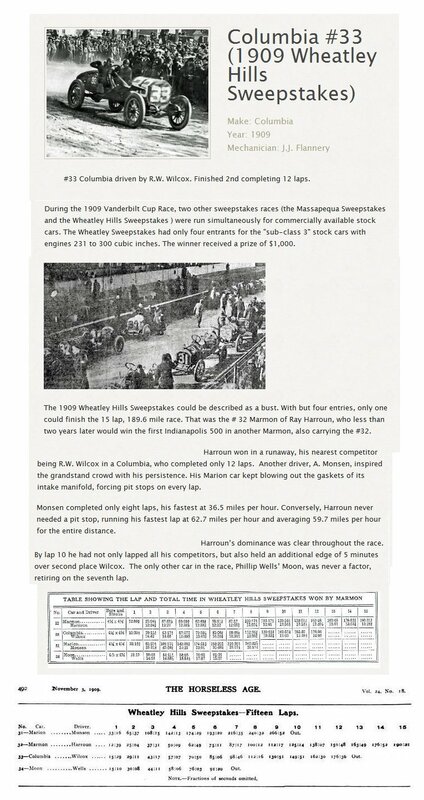 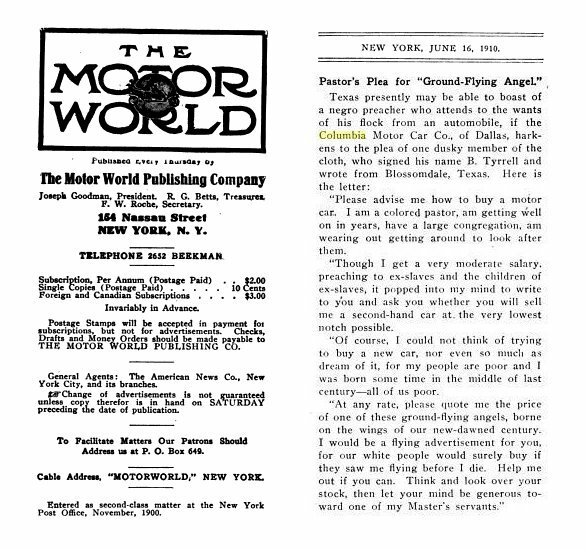 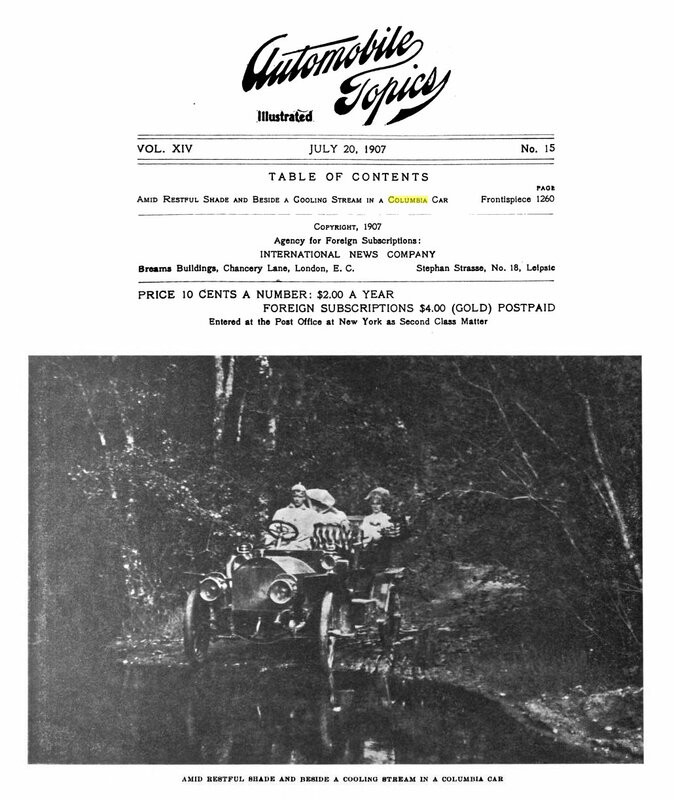 When Bald first became associated with motoring he sat in racers built for him in the Columbia factory at Hartford, Conn., following an apprenticeship in the Columbia factory. 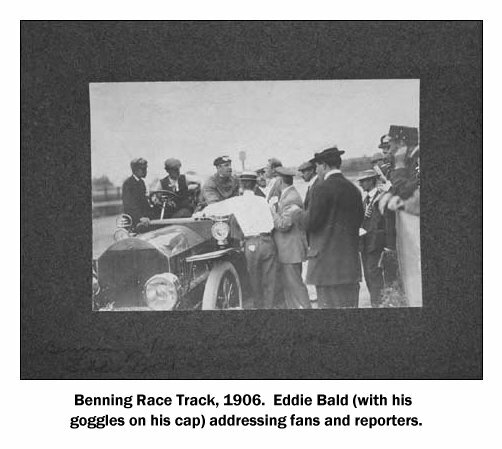 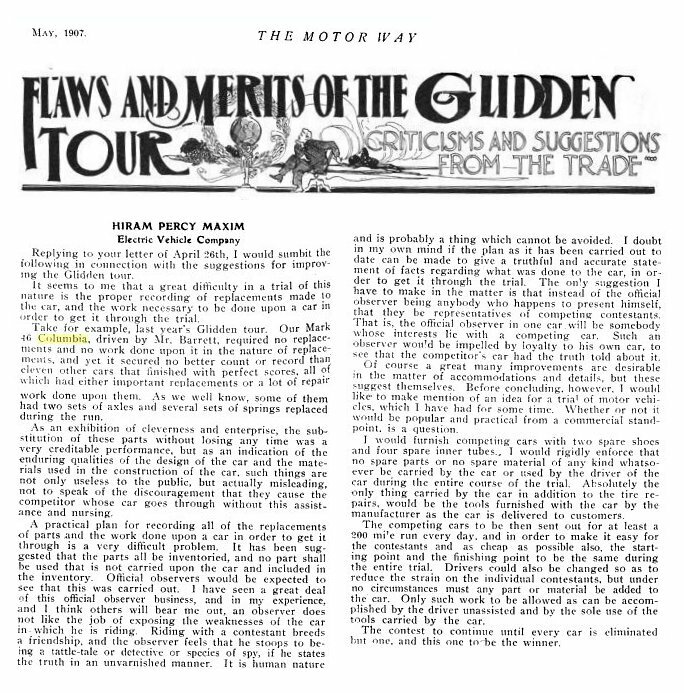 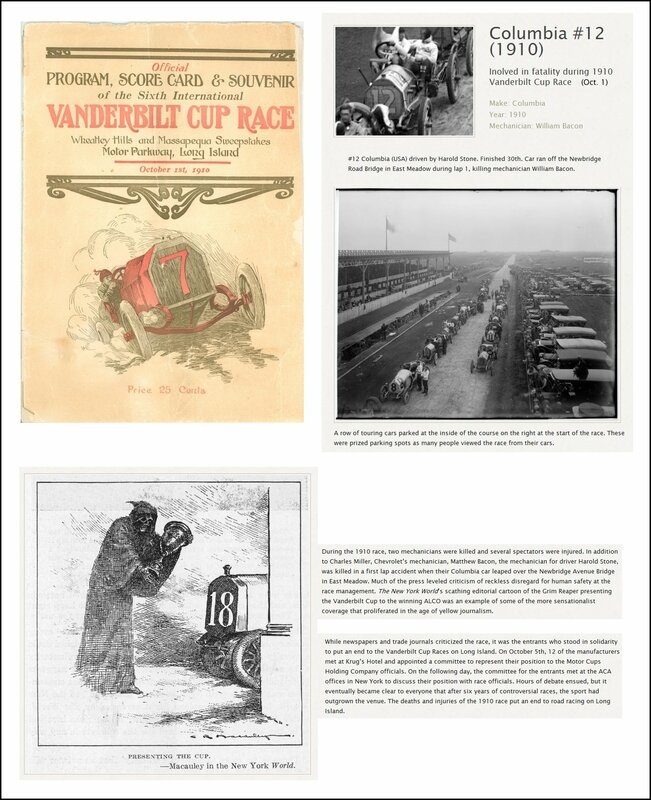 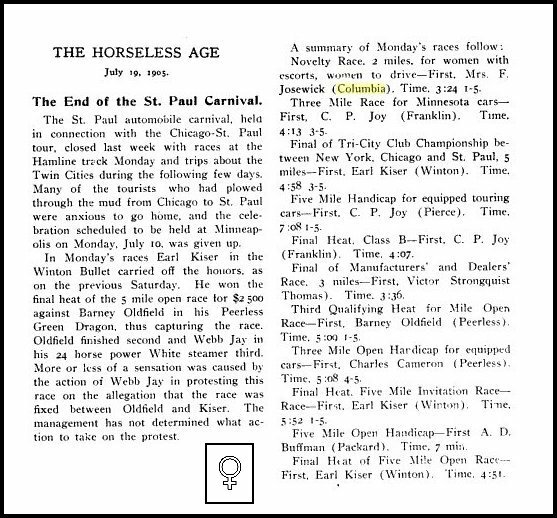 Bald's track generalship won him many events, and he also drove in one of the record breaking Columbia dashes from Chicago to New York. 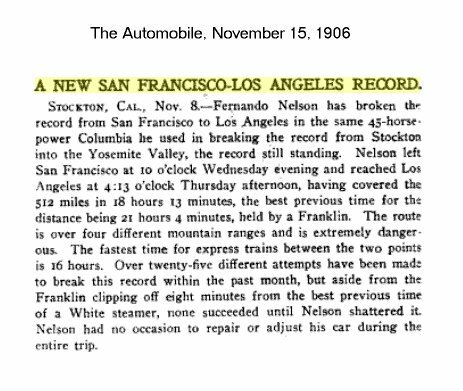 [Note: This was the re-taking of the record in October, 1904. 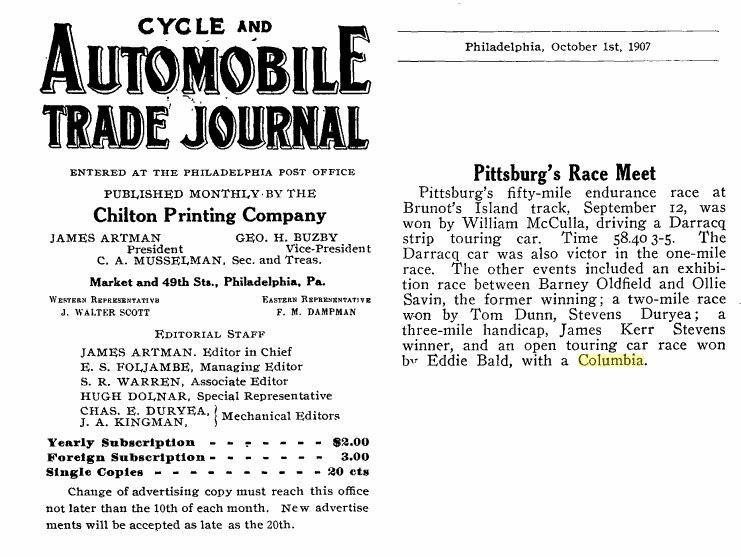 Photos of Bald with Lawrence Duffie appear on an earlier webpage of this presnetation.] 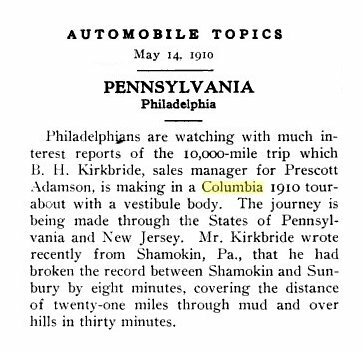 Bald is now associated with the agency for Columbia cars in Pittsburg, which city is now his home. 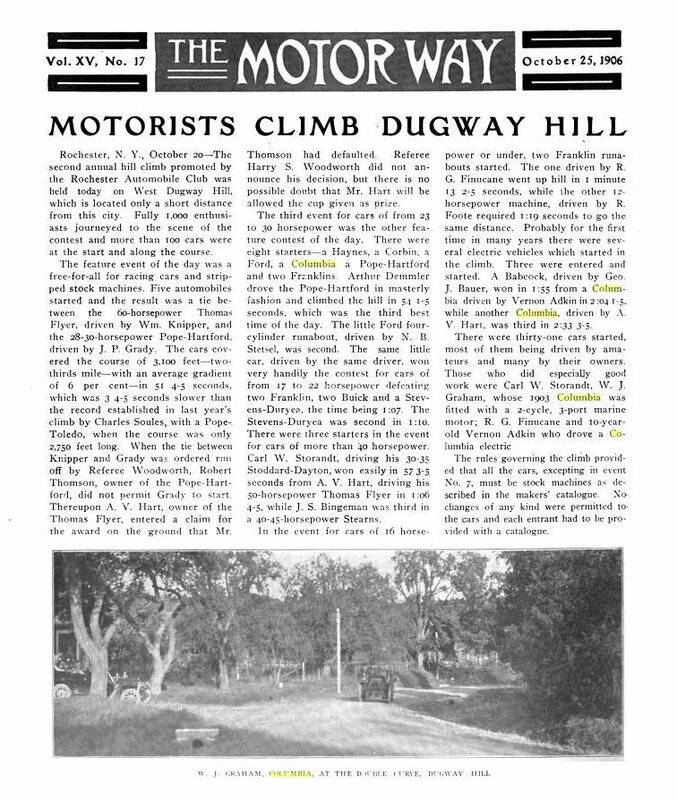 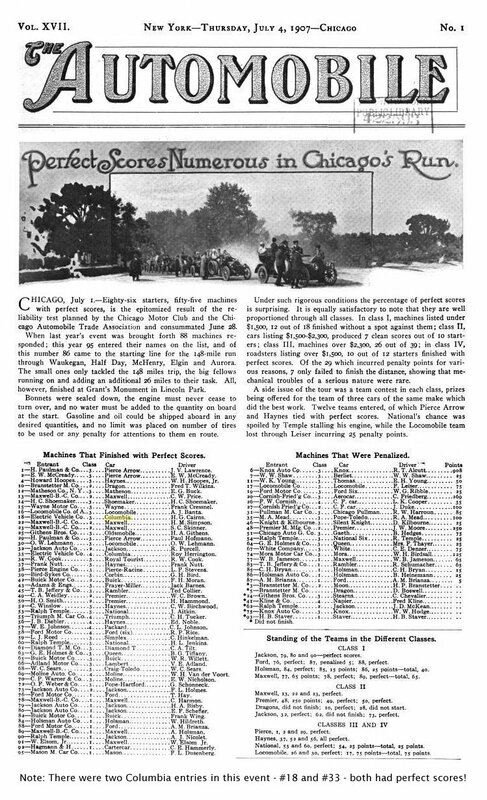 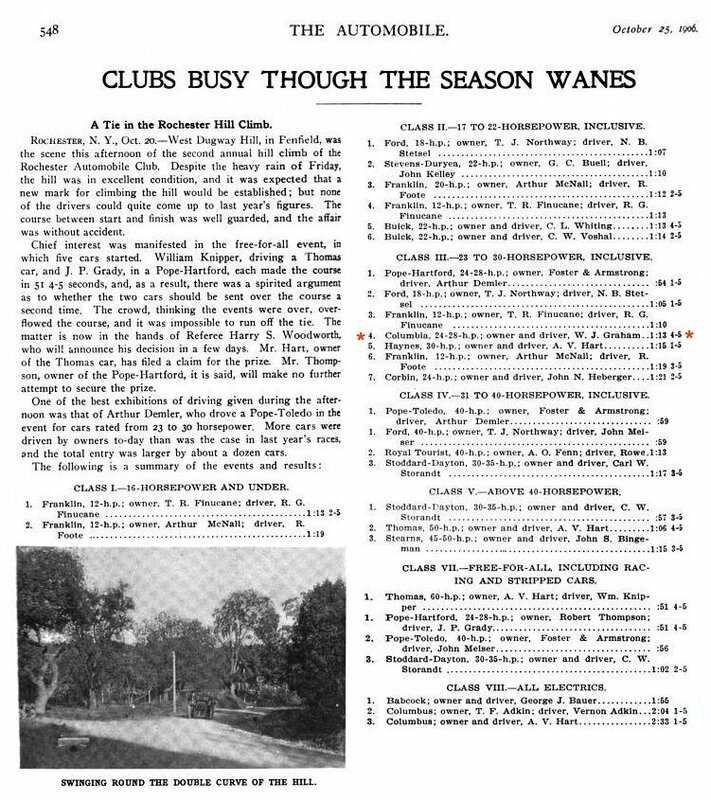 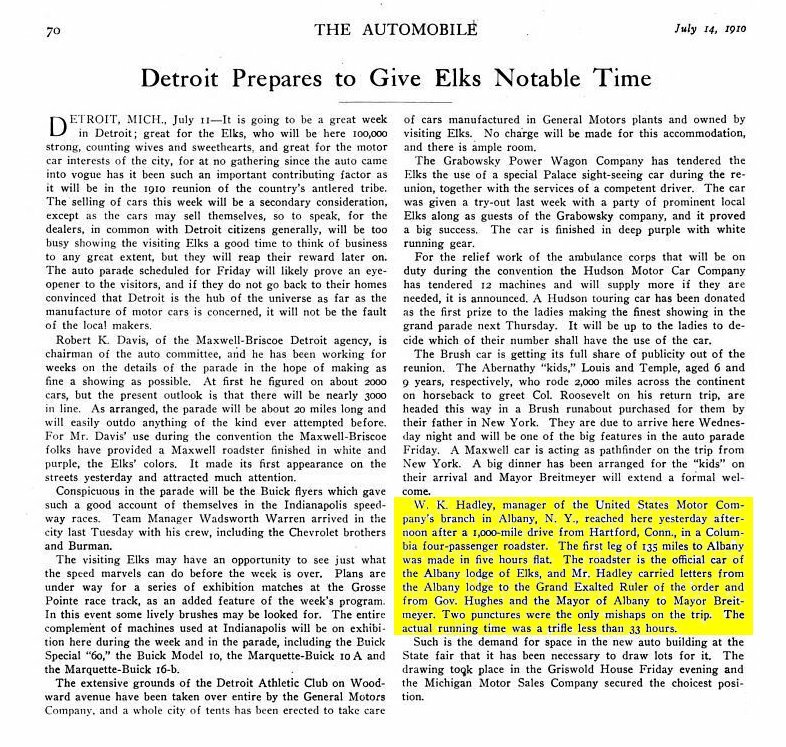 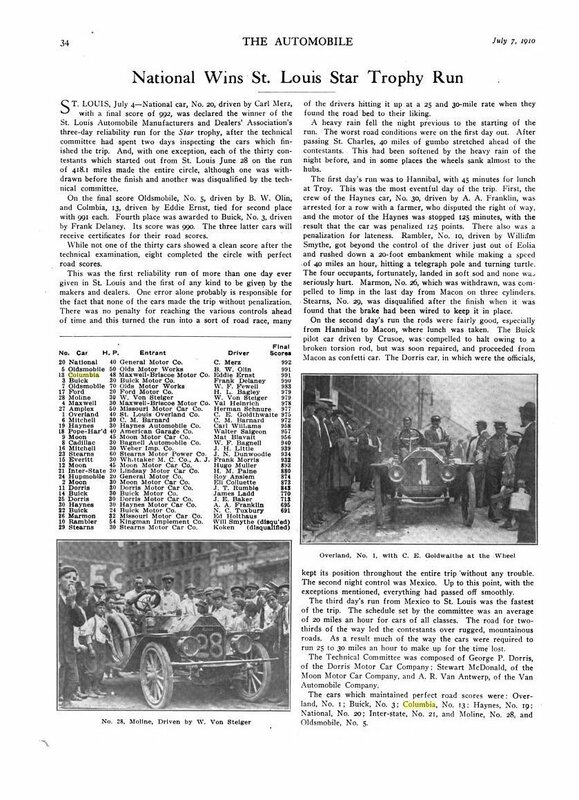 makes reference to the tour of 1906, as shown in the items just above. 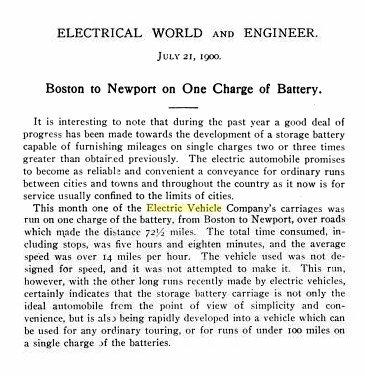 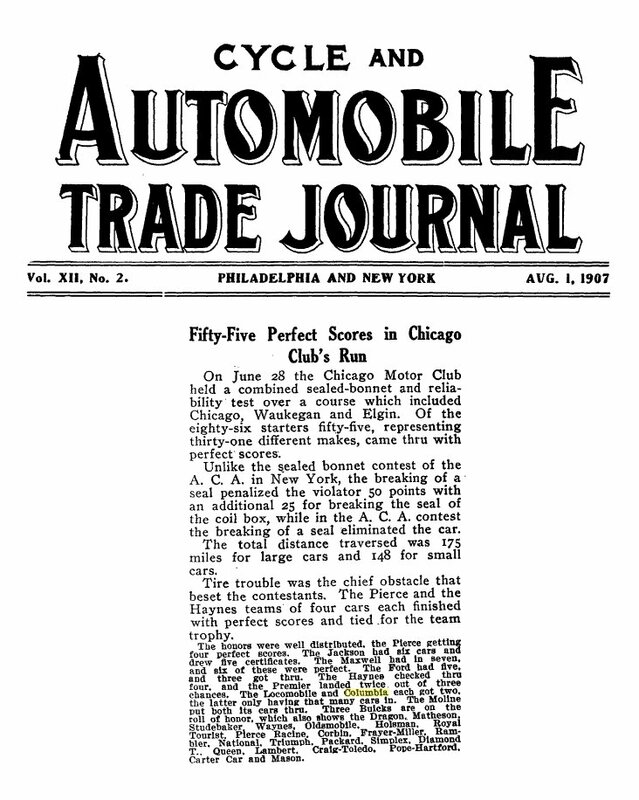 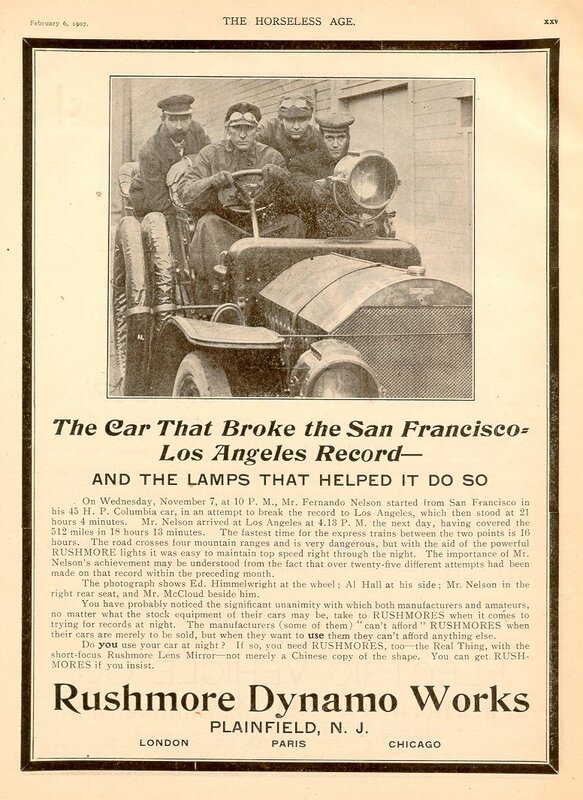 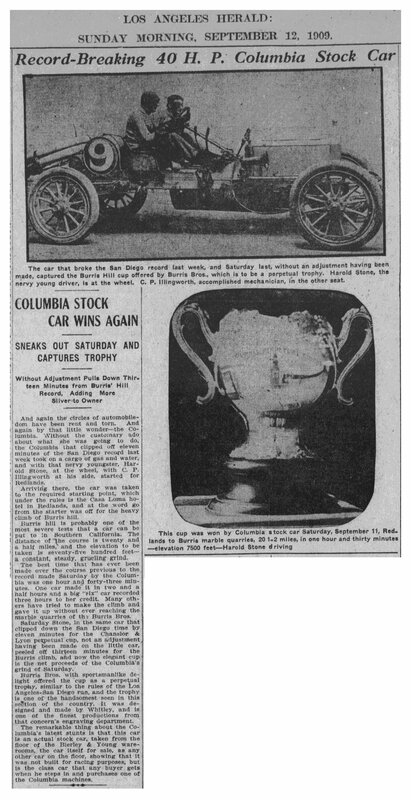 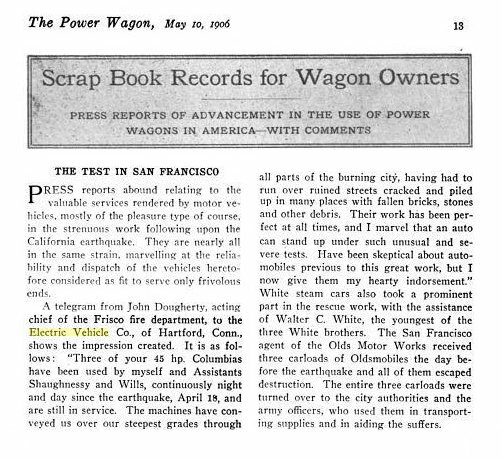 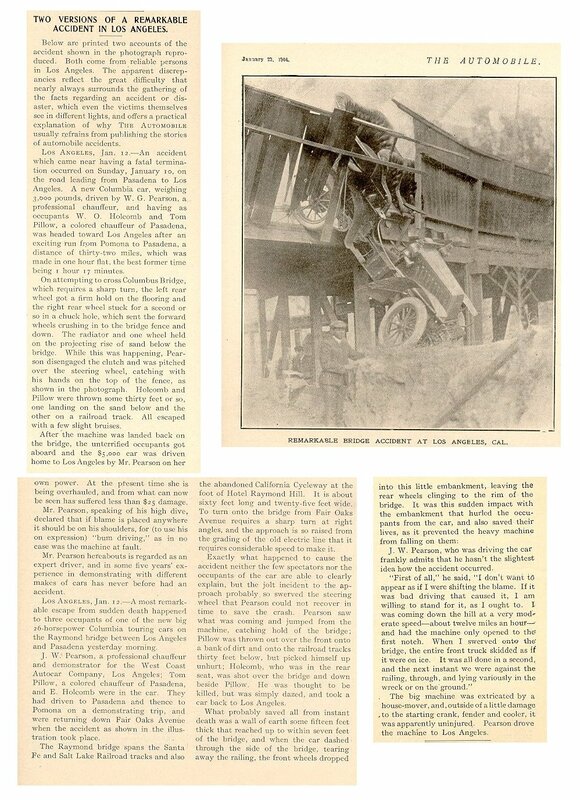 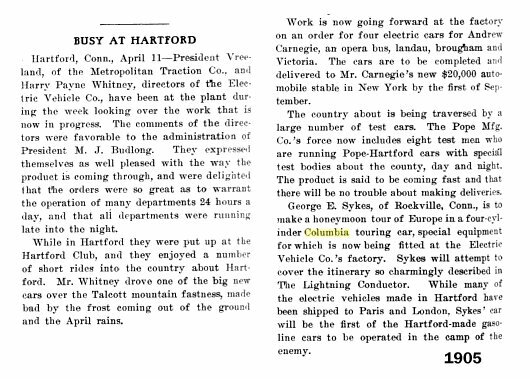 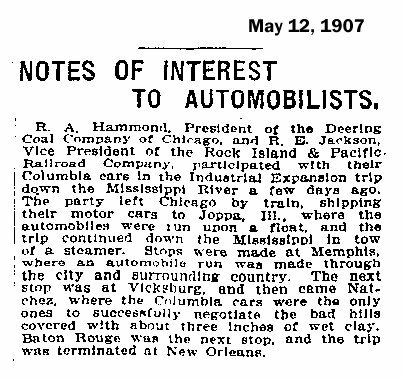 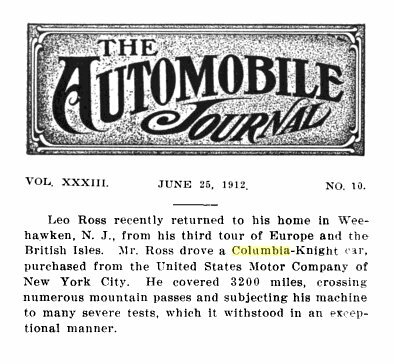 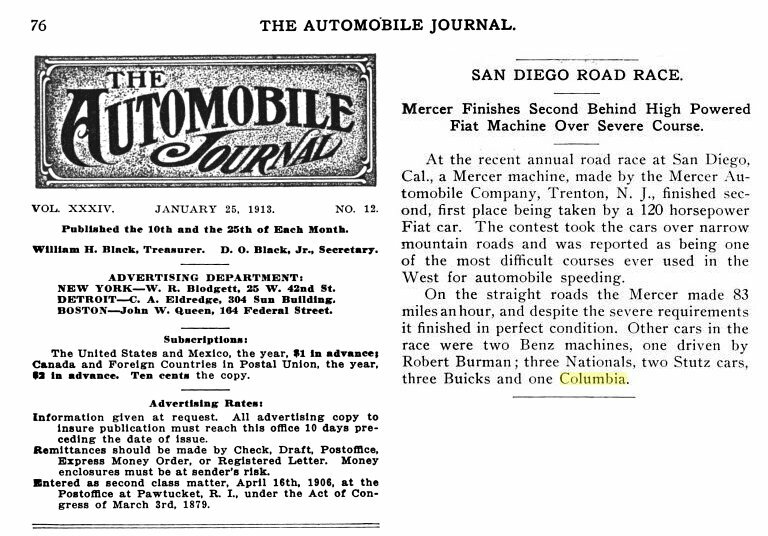 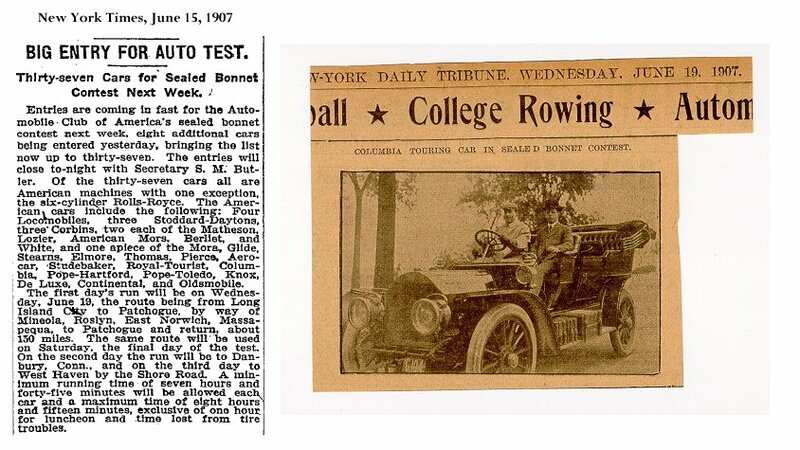 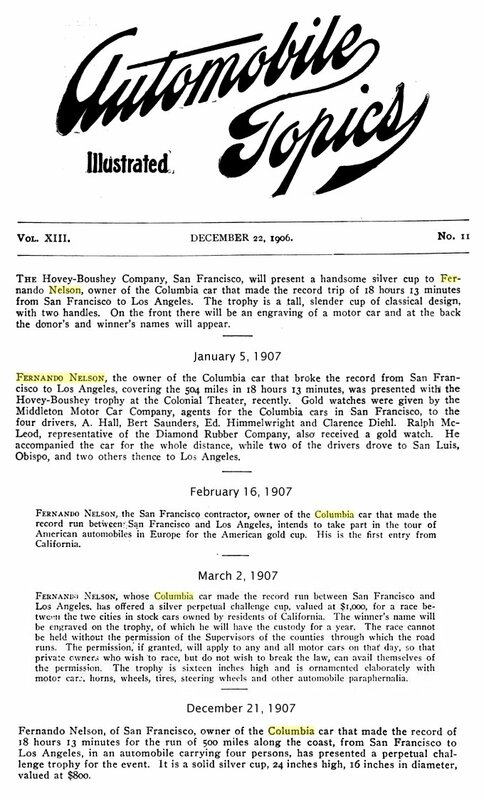 "All automobile records between San Francisco and Los Angeles were smashed yesterday by Fernando Nelson, a northern contractor, who covered the 504 miles in a 1906 40-horsepower Columbia in 18 hours, 13 minutes," The Times reported. 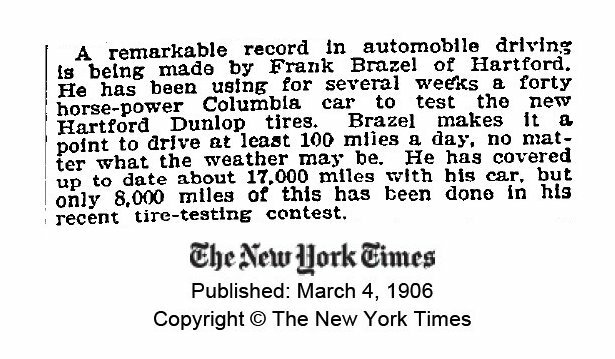 "This is three hours better than any previous record." 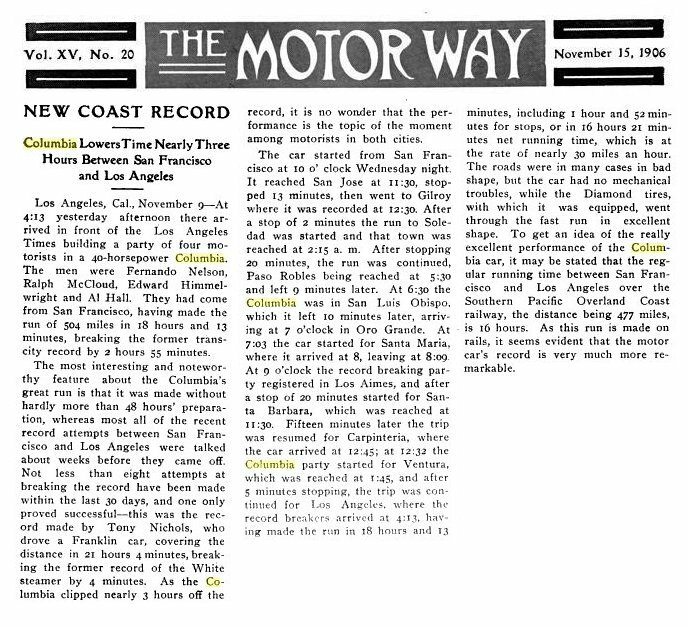 Nelson arrived in Los Angeles, "down the Broadway hill from the tunnel, with horn tooting loudly and his joyous passengers cheering to the limit of their lung strengths." 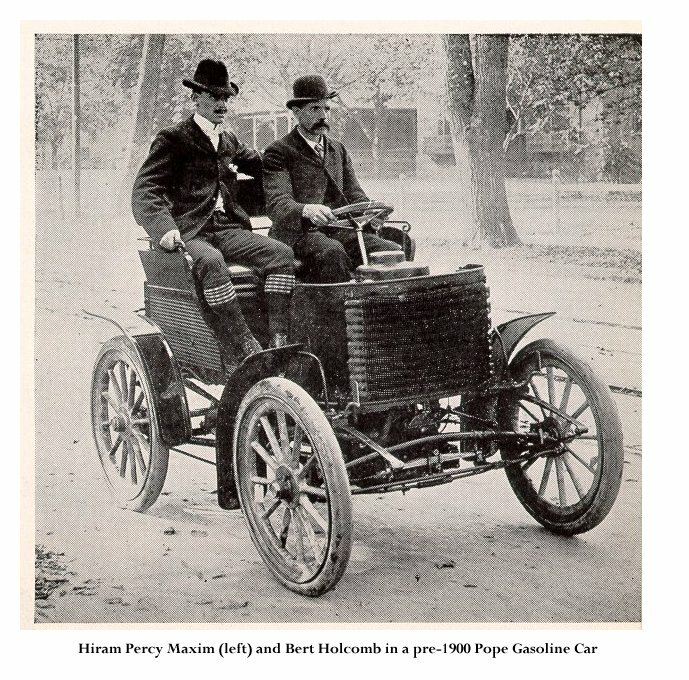 Encountering delays with horses and buggies and a wild black stallion, Nelson lamented that "once in a while, men are encountered who hate the automobile with a devil's hate, and who are meaner than is believable." 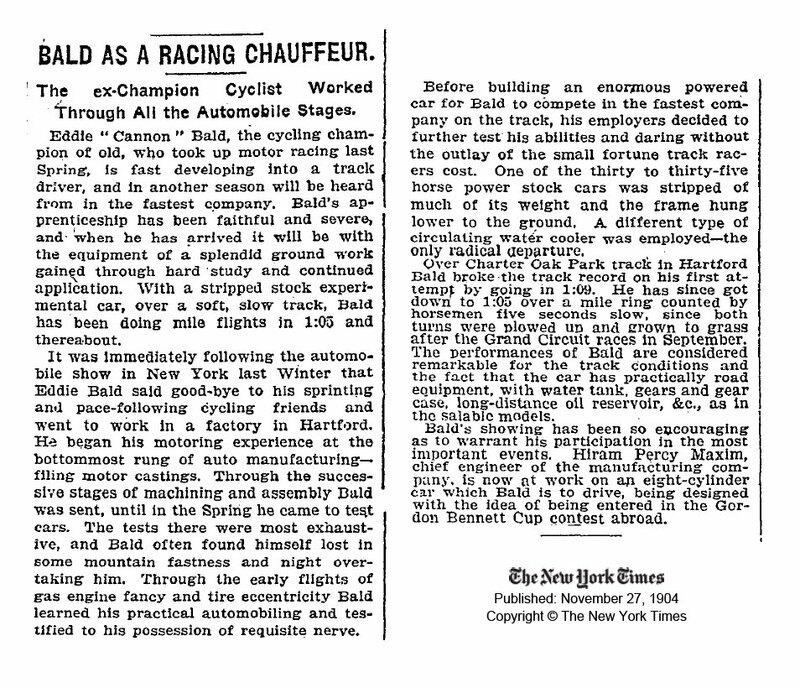 He averaged 28 miles per hour, with two breaks for "good square meals." 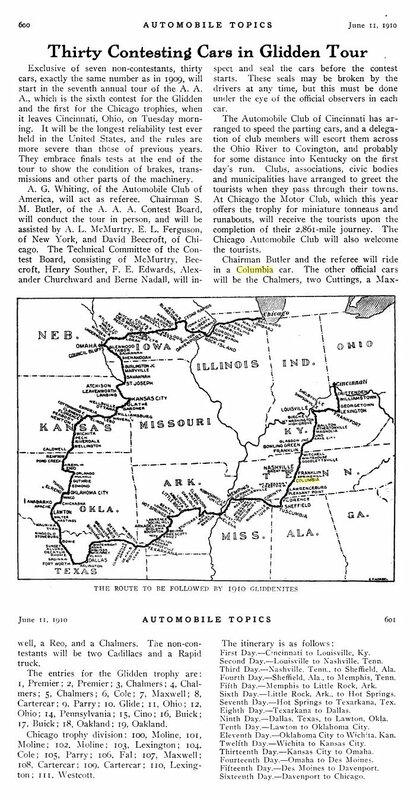 The Southern Pacific Railroad was then making the San Francisco-Los Angeles run in 16 hours. 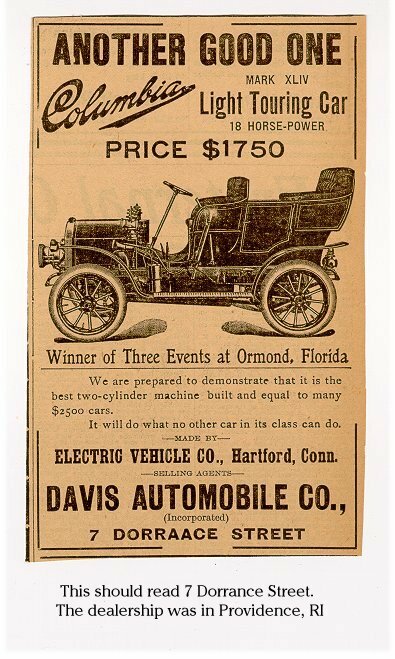 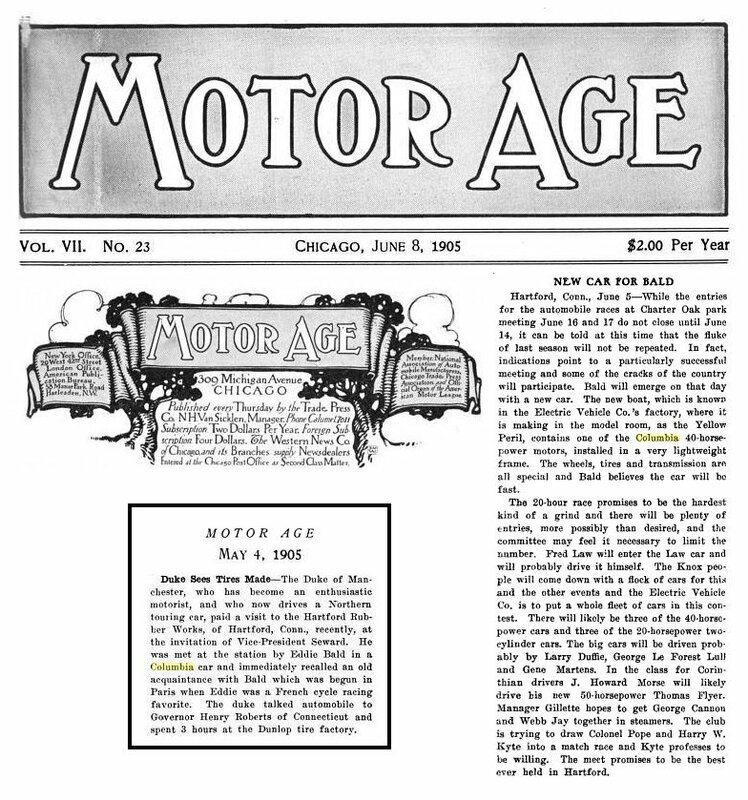 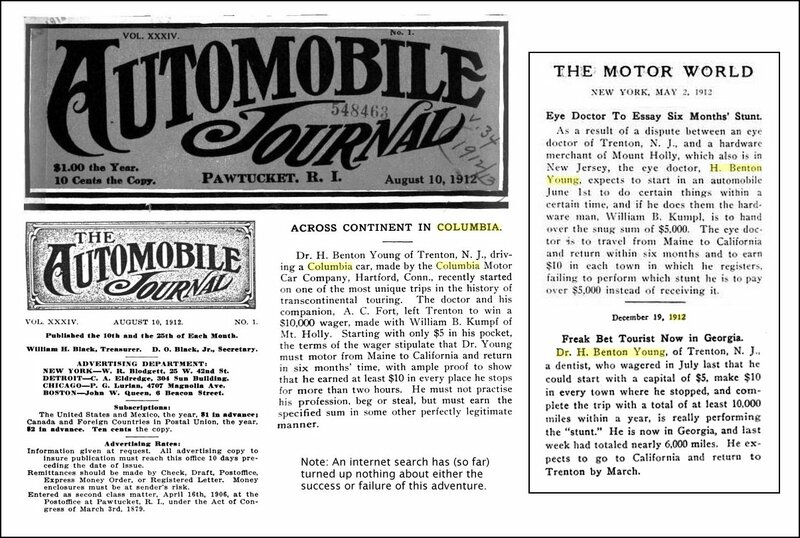 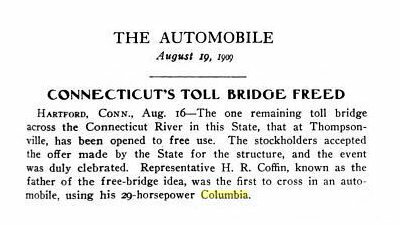 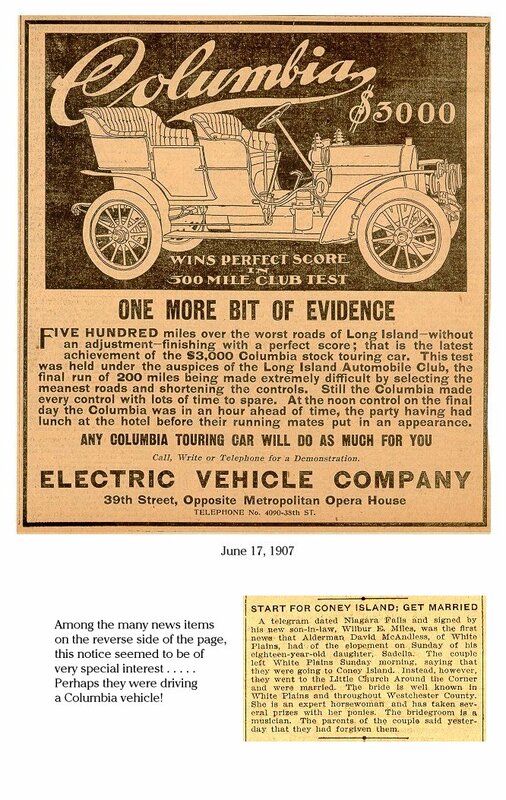 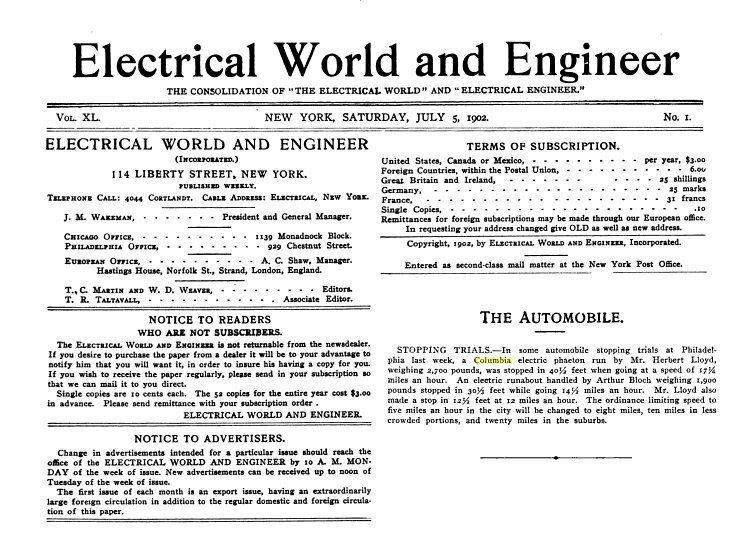 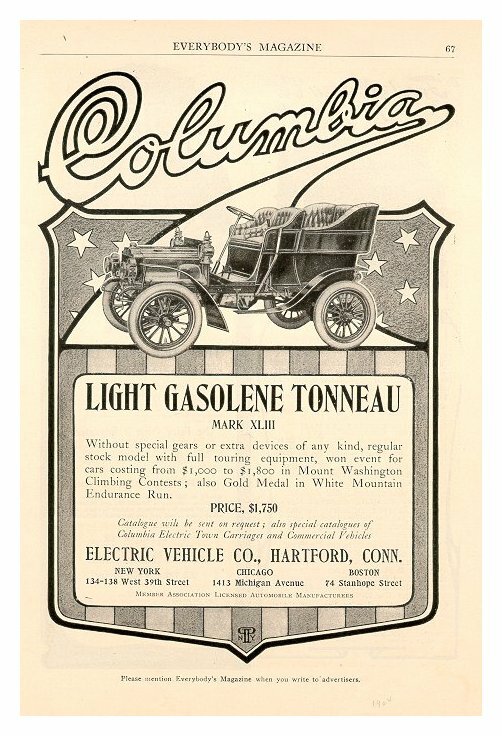 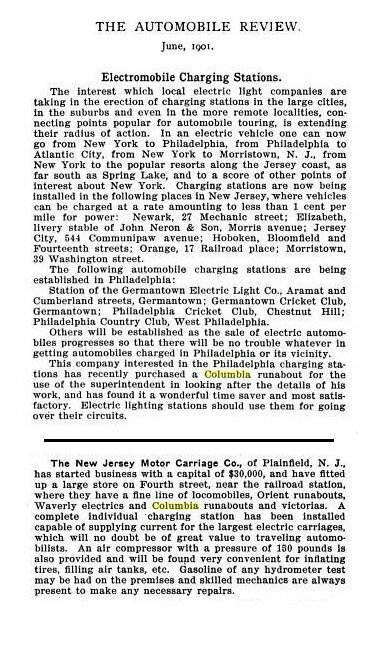 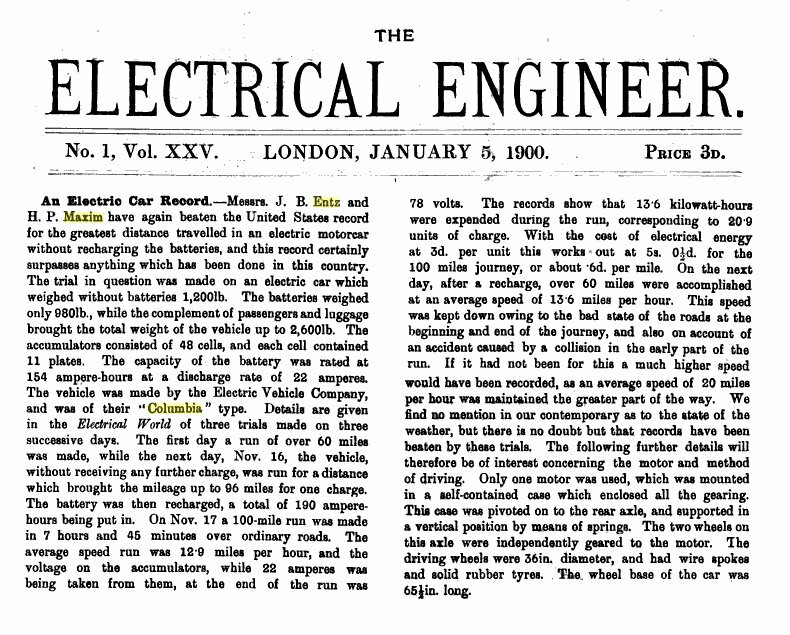 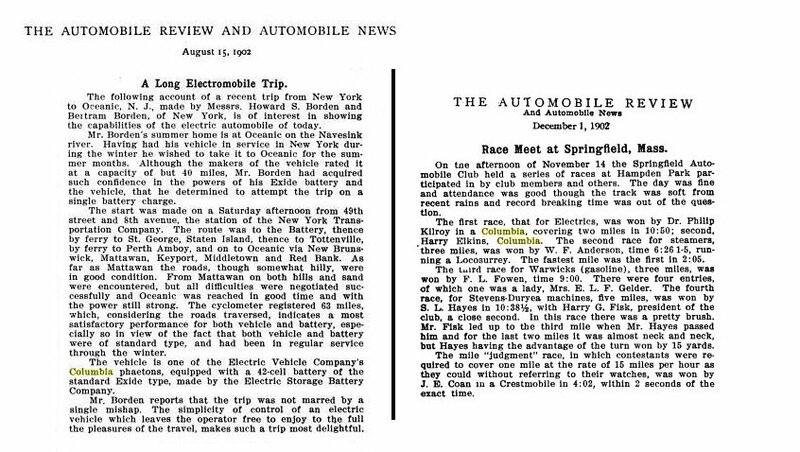 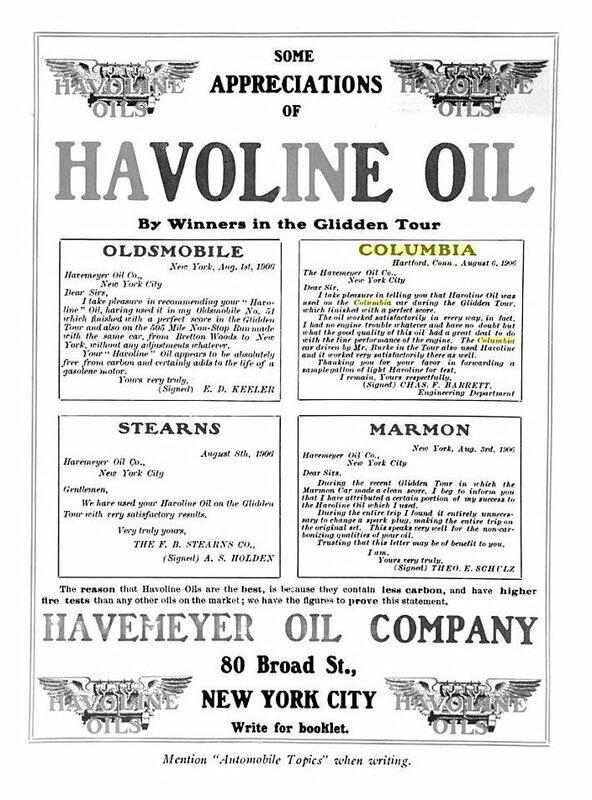 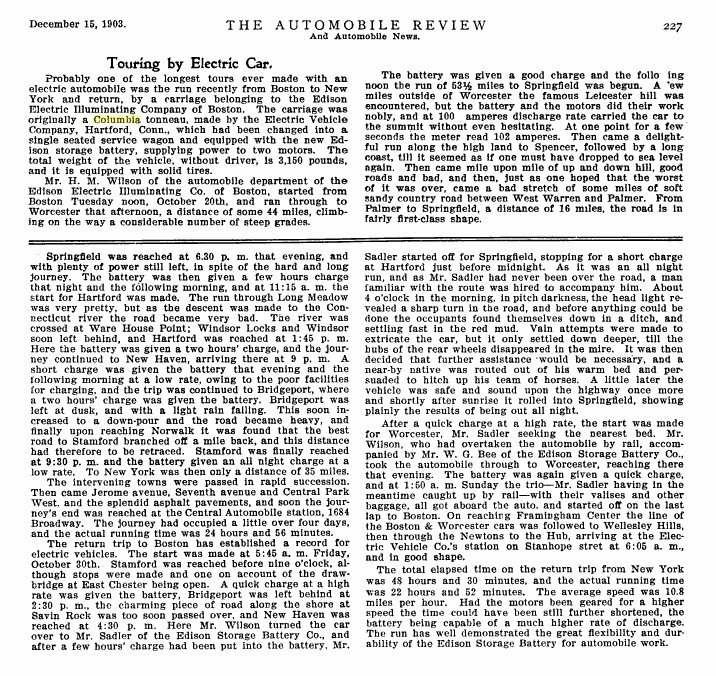 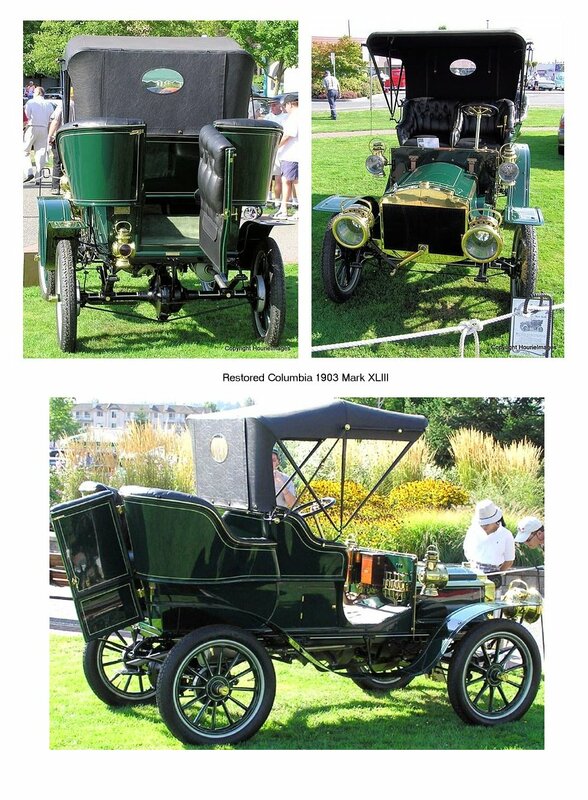 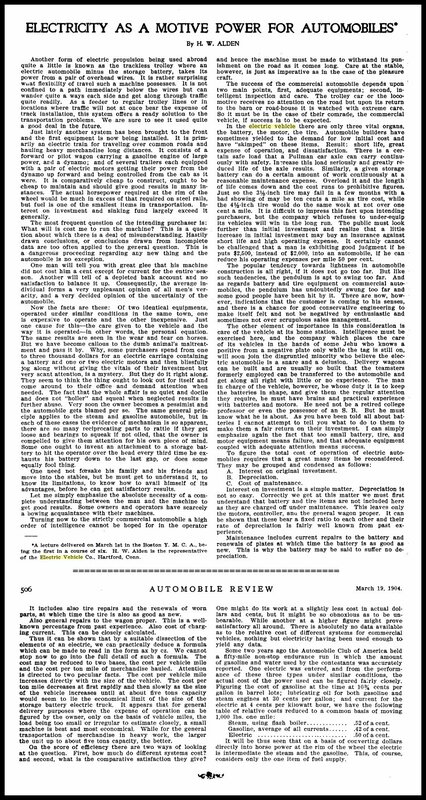 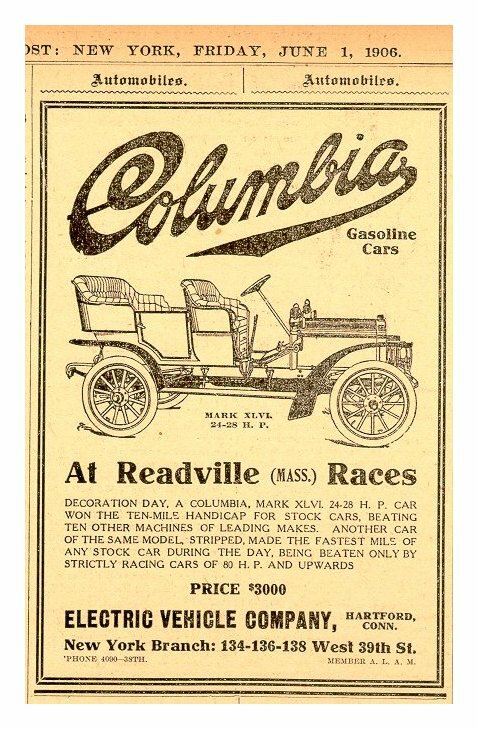 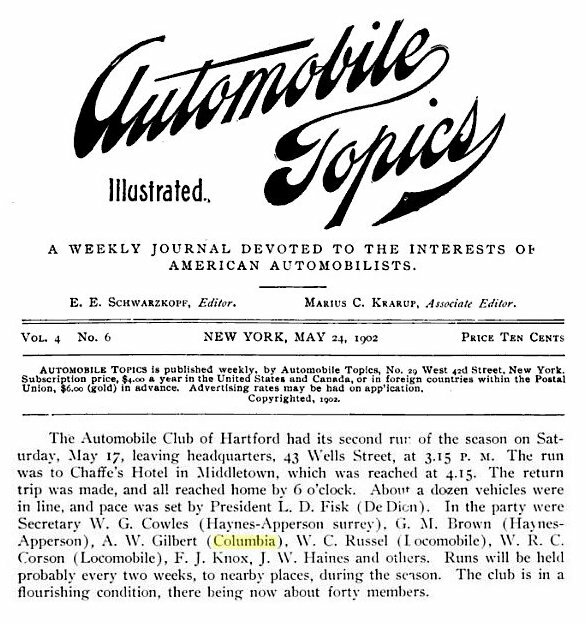 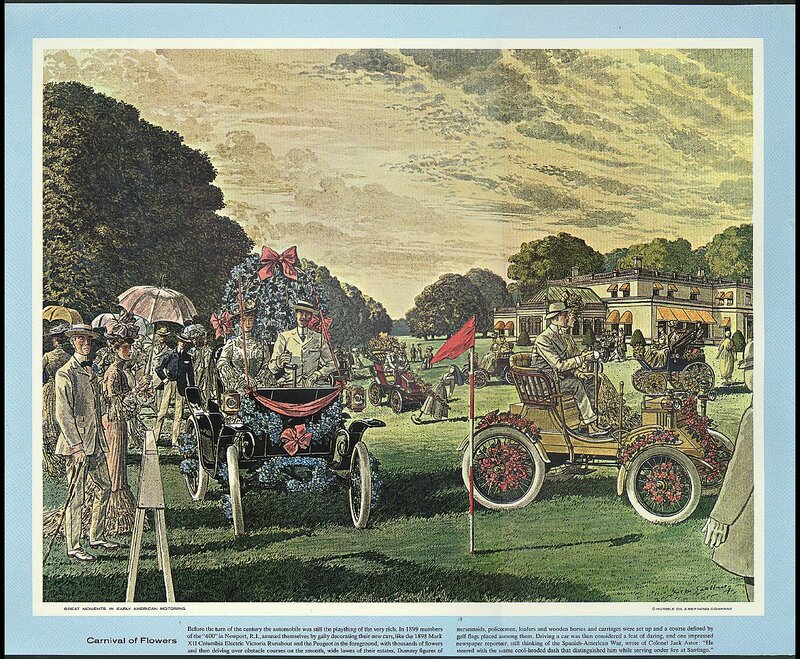 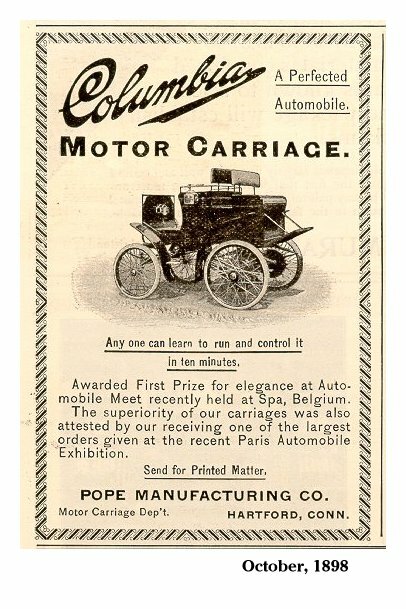 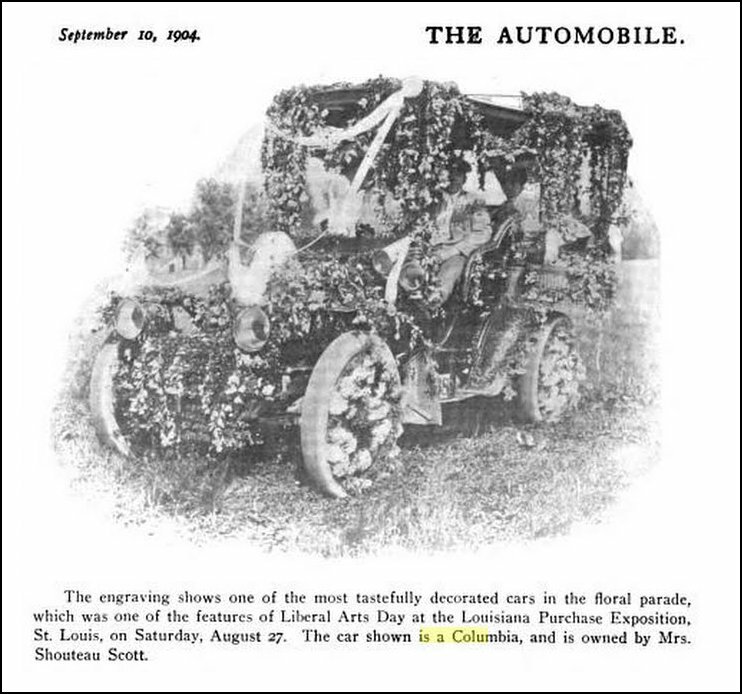 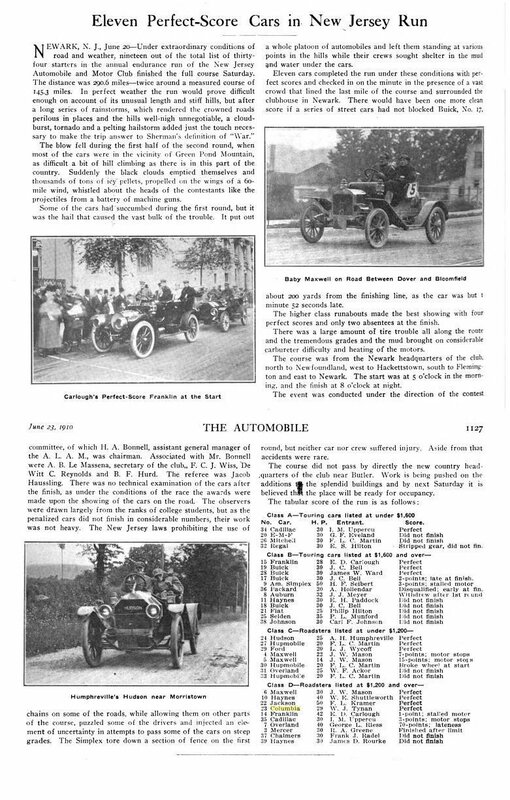 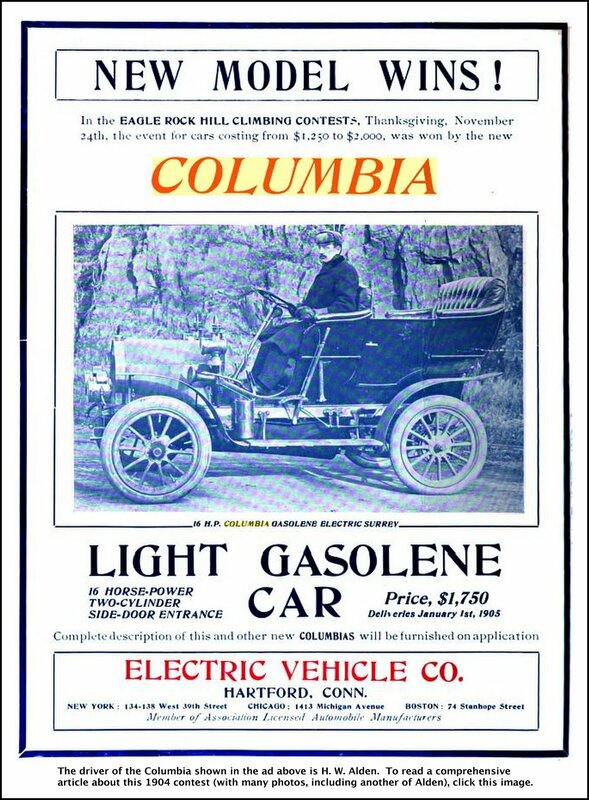 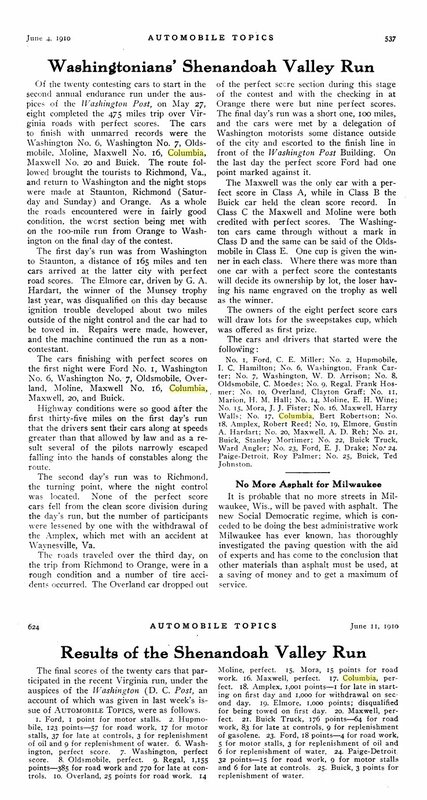 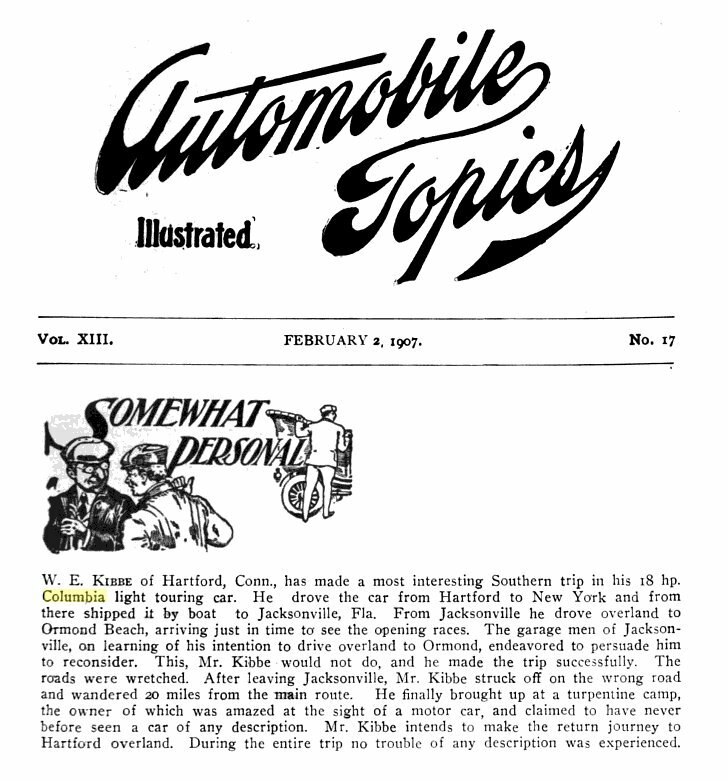 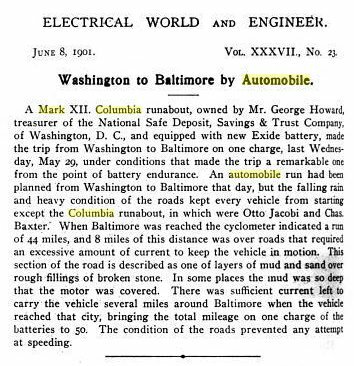 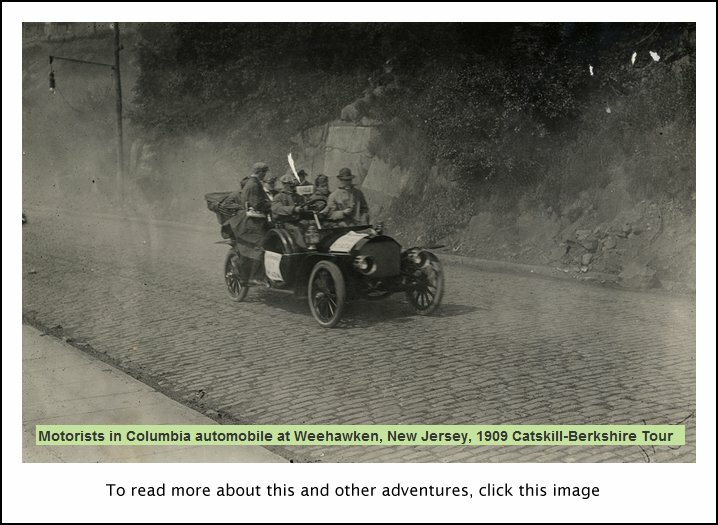 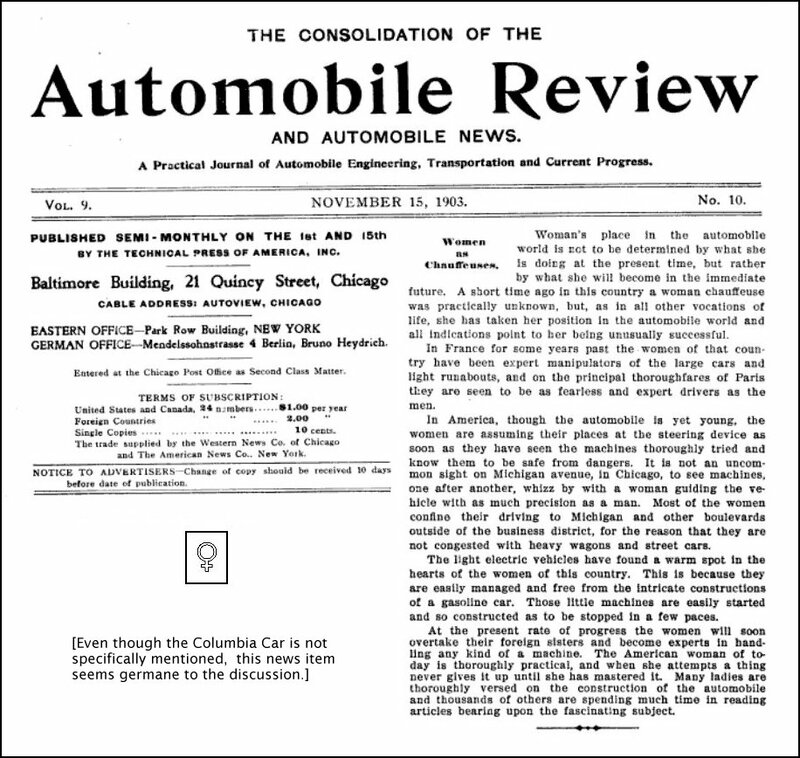 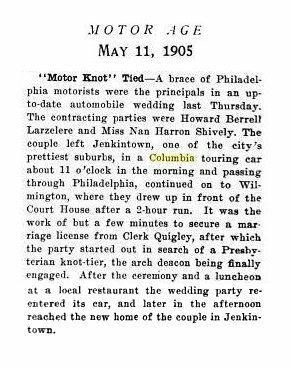 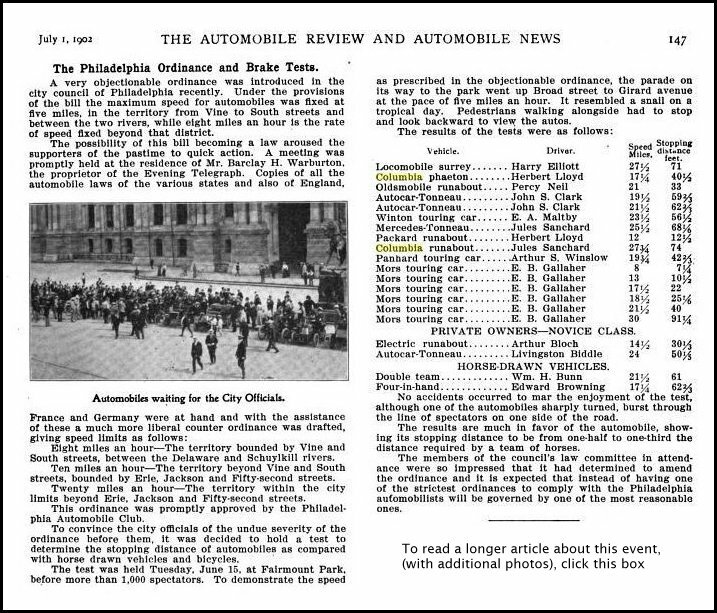 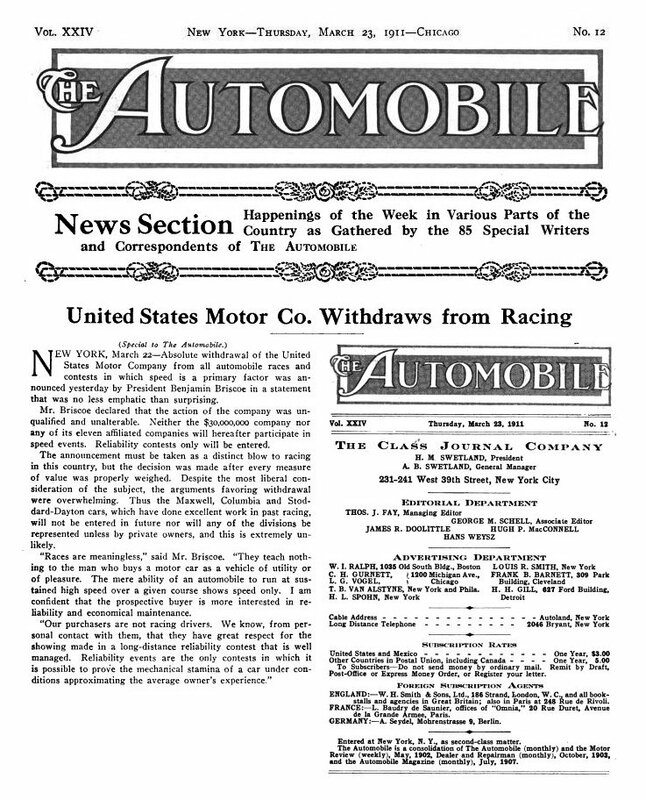 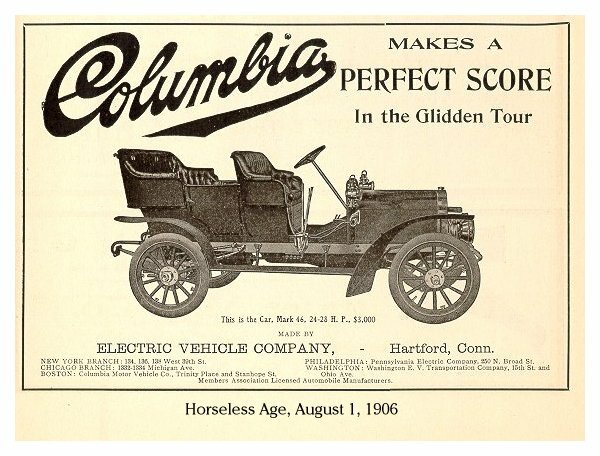 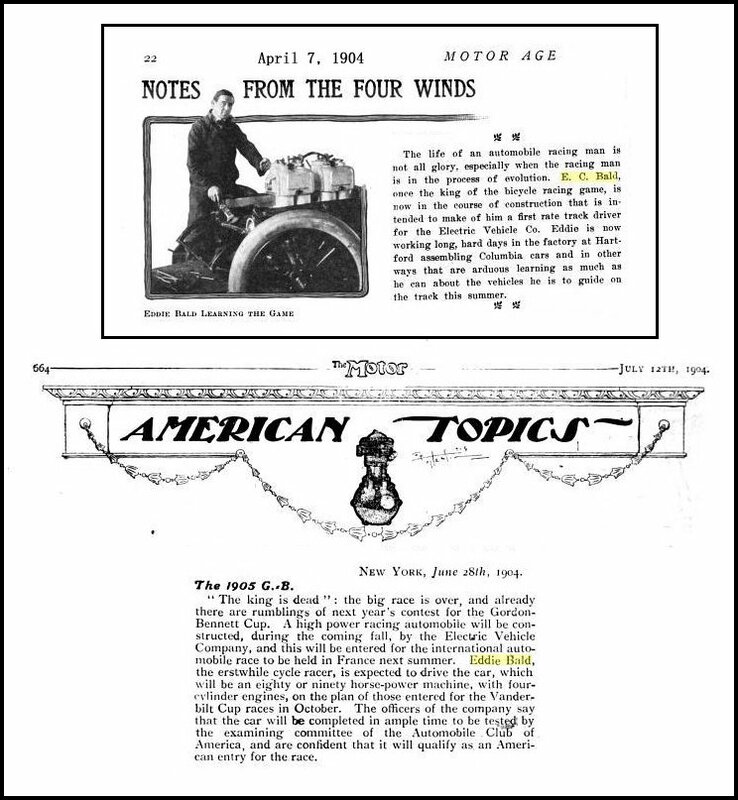 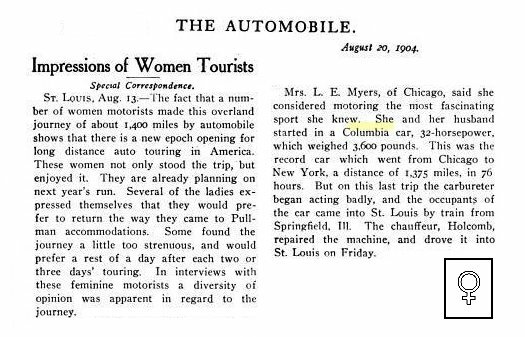 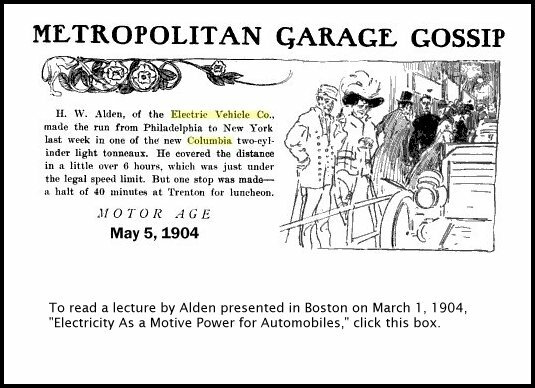 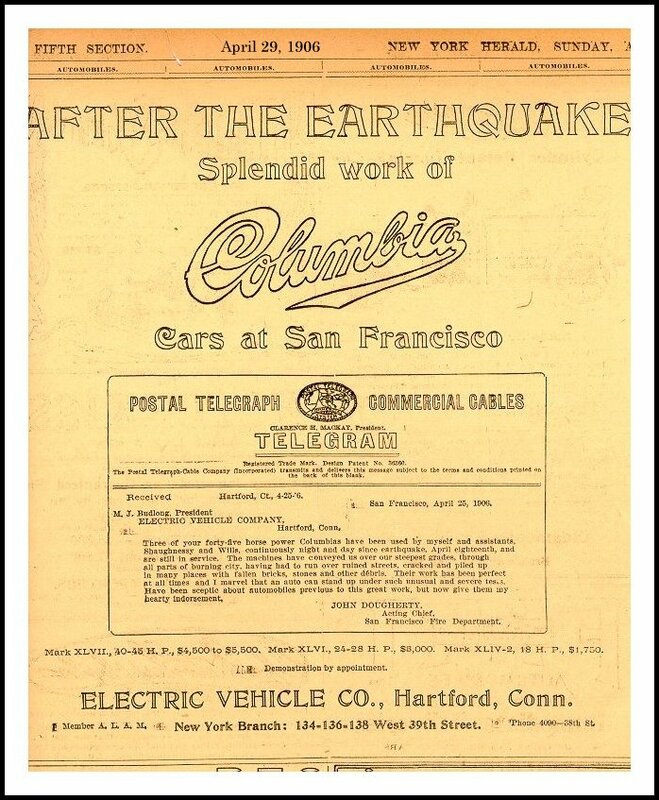 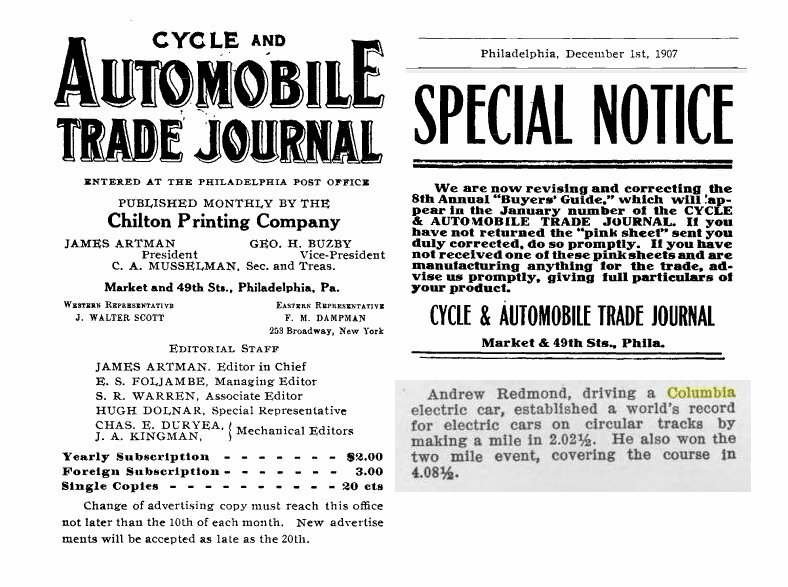 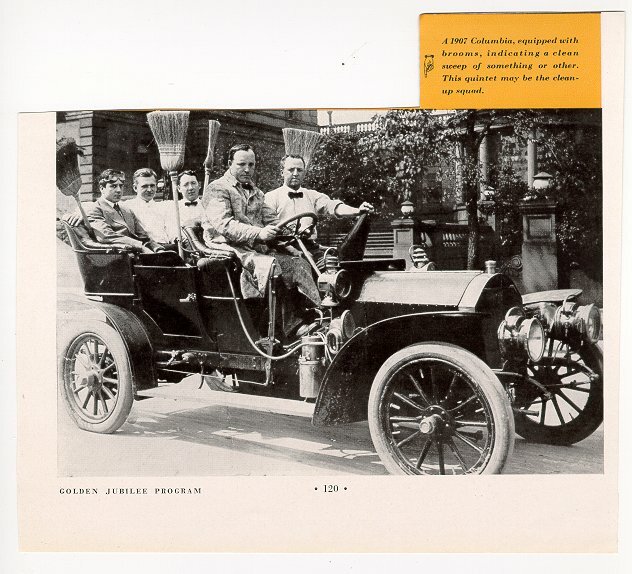 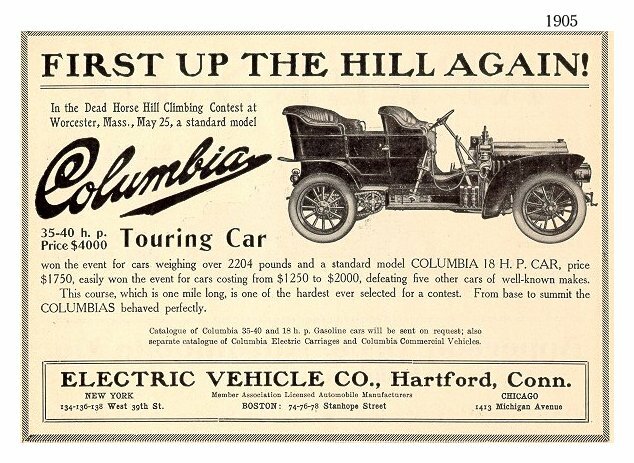 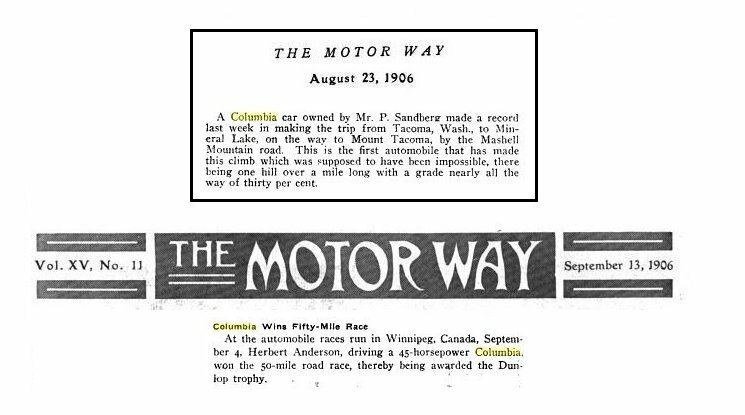 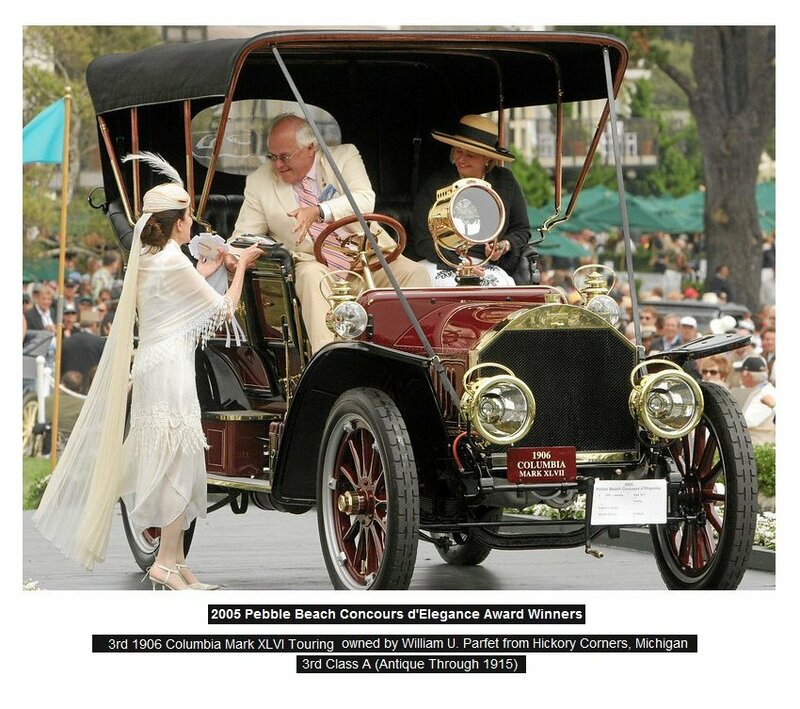 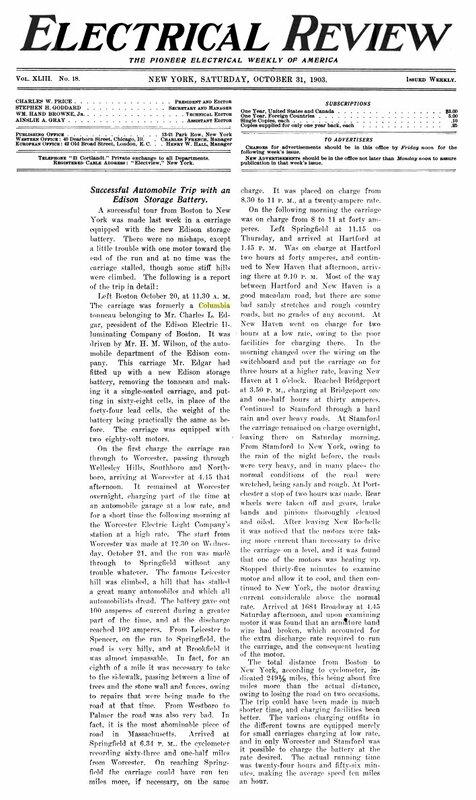 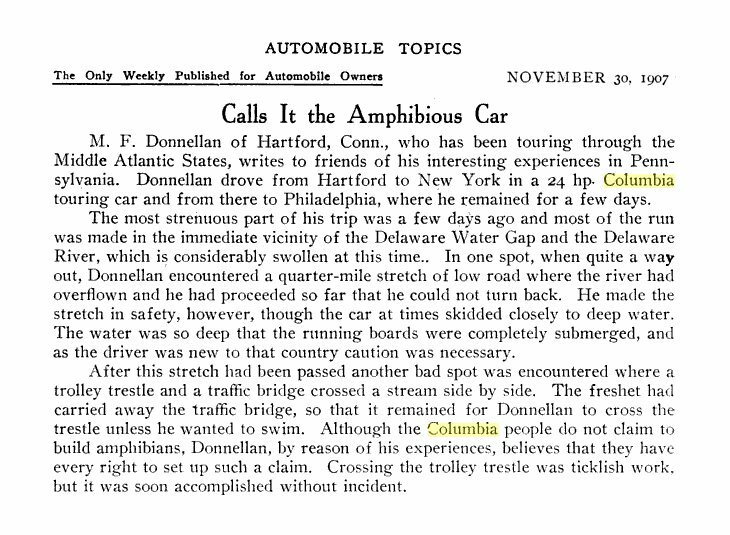 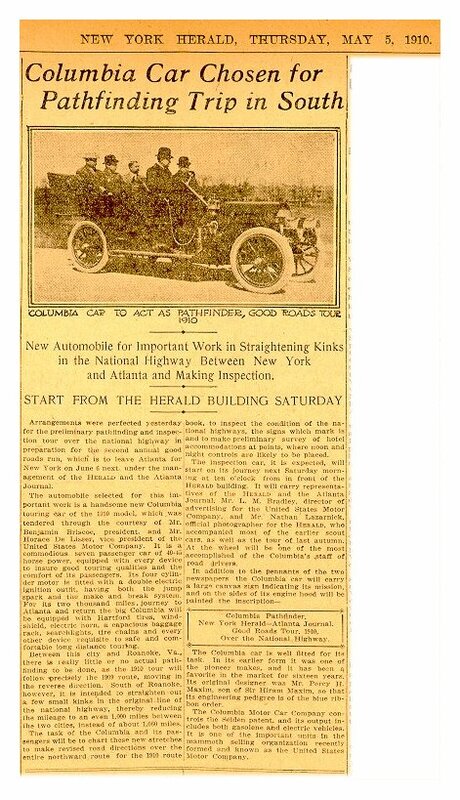 about the Columbia Hybrid Gasoline-Electric car of 1907.
of both 1909 and 1910, click HERE. 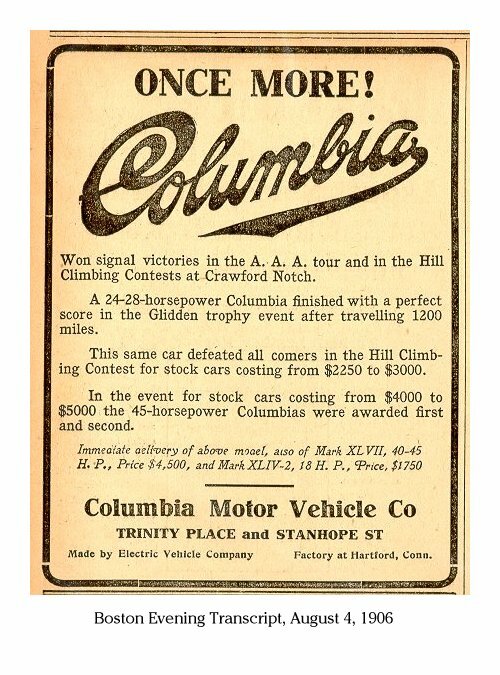 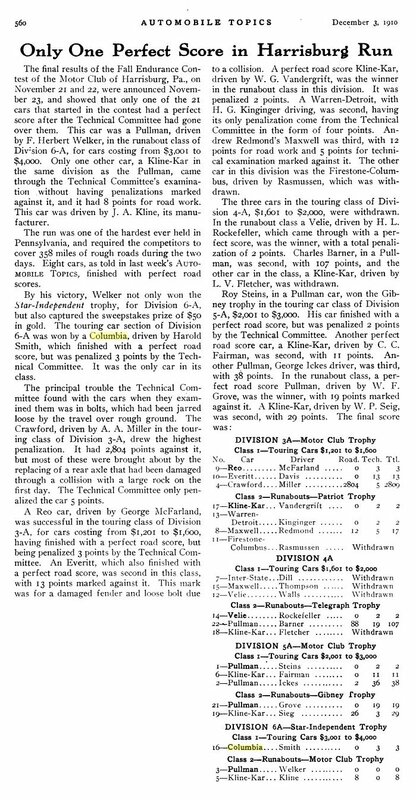 Sixty years later, a Columbia wins again! 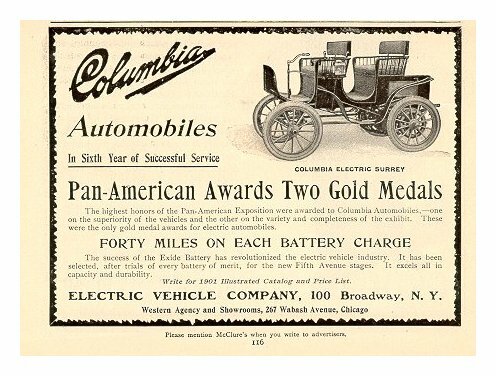 And a full century later, the Columbia is still winning awards!